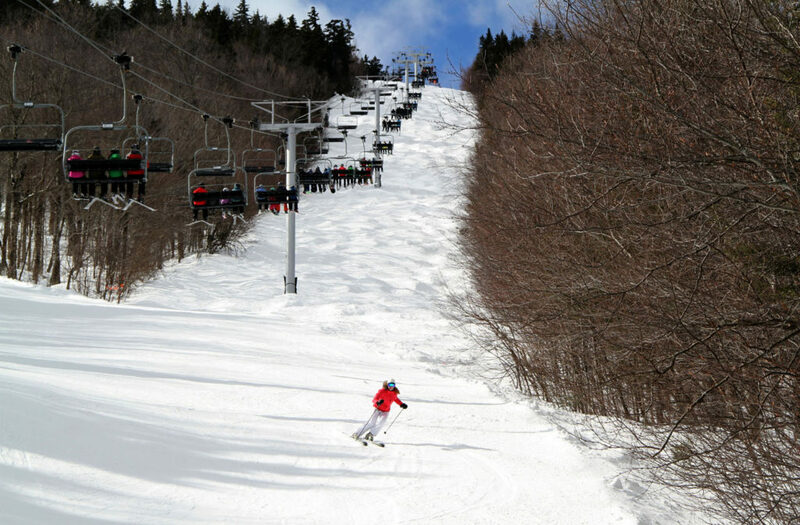 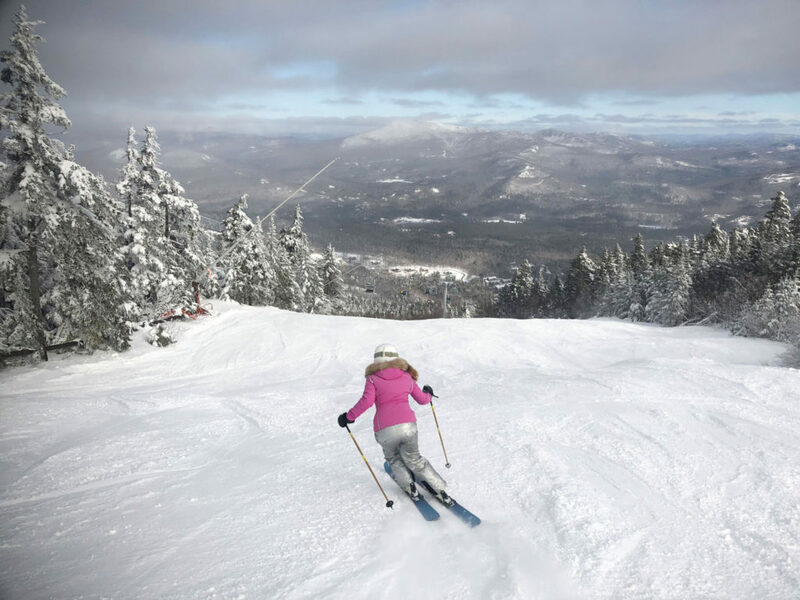 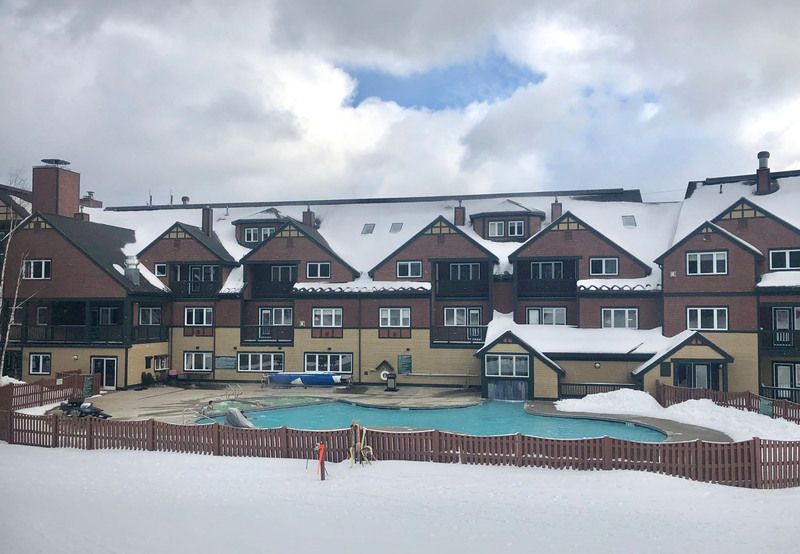 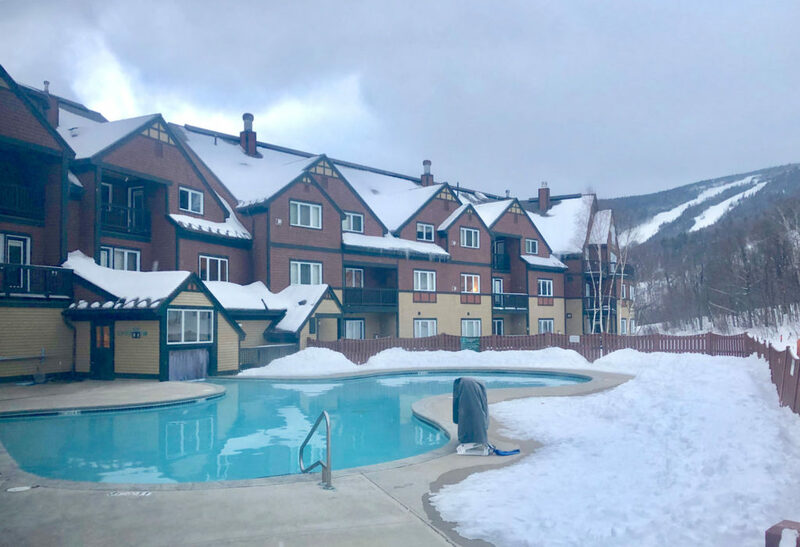 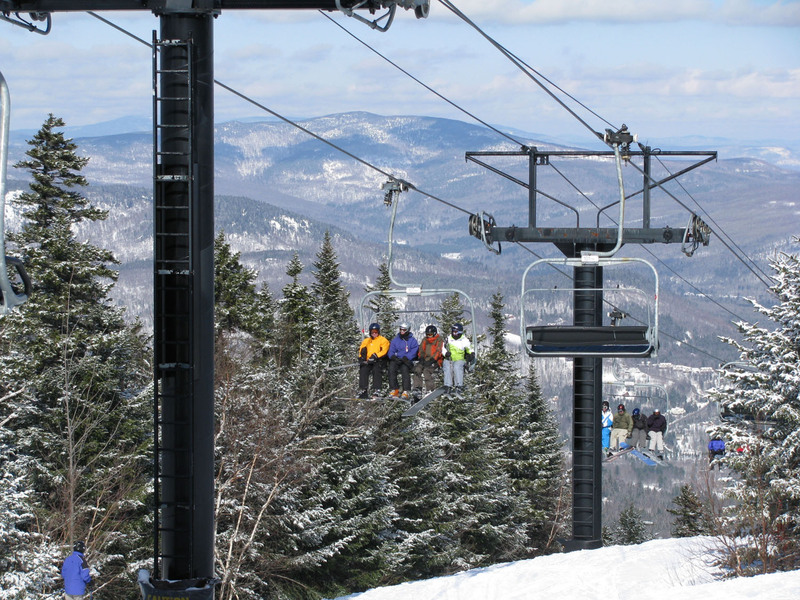 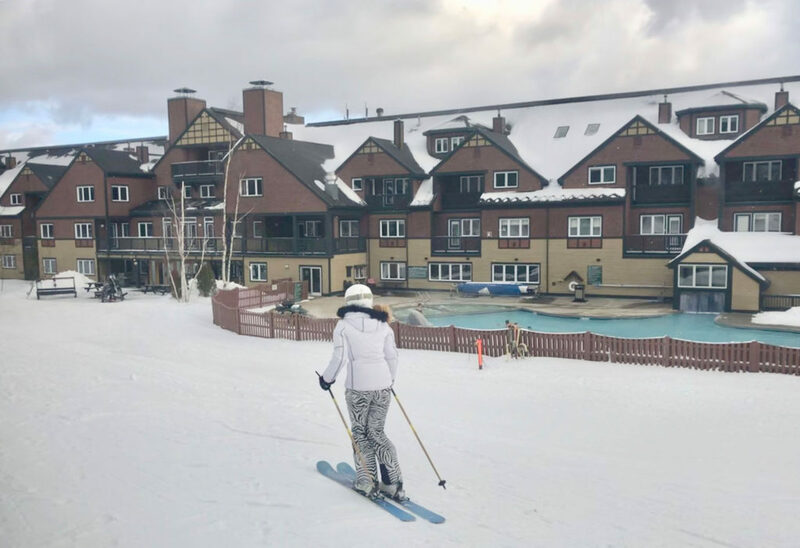 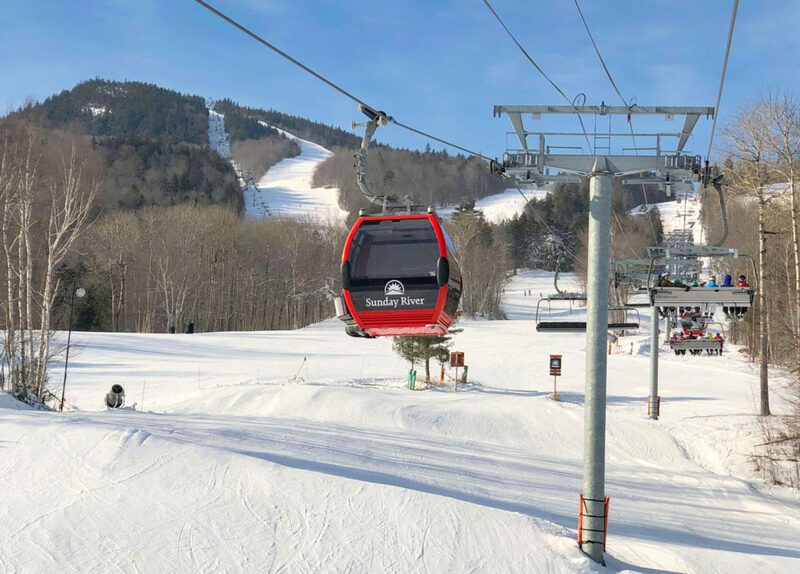 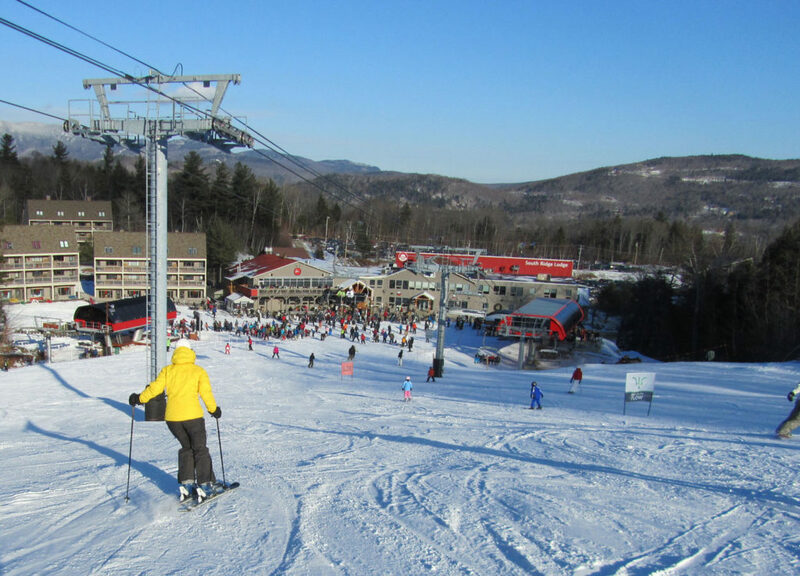 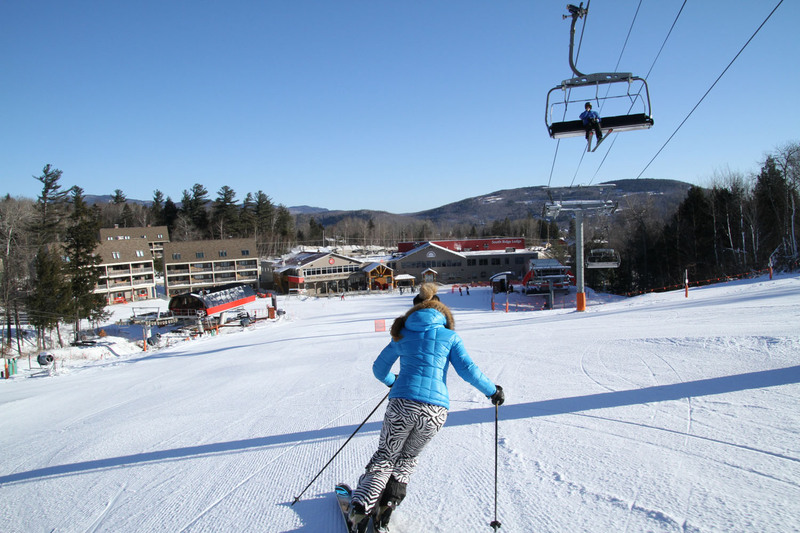 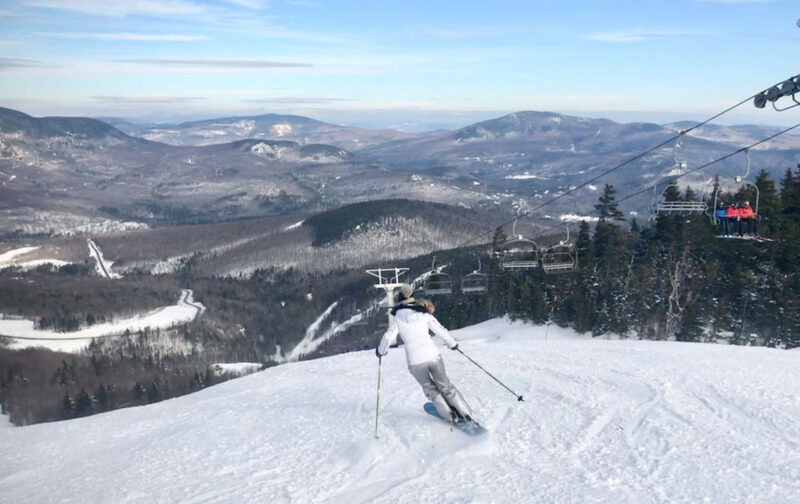 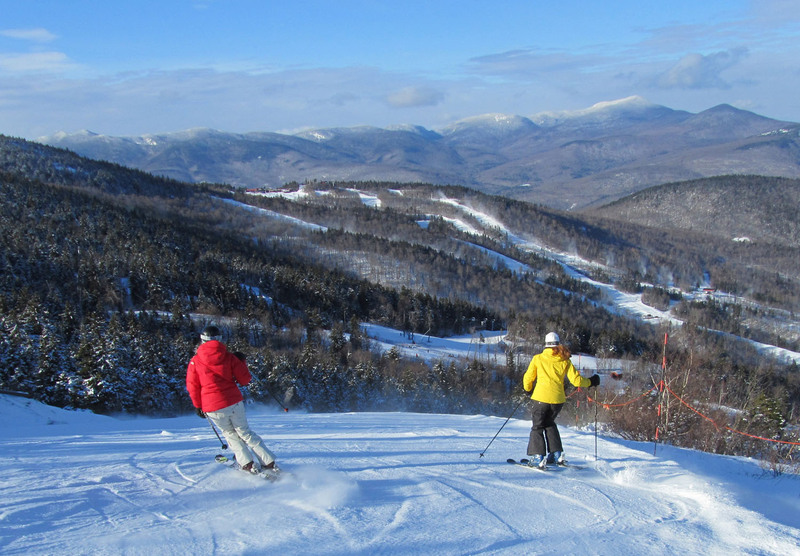 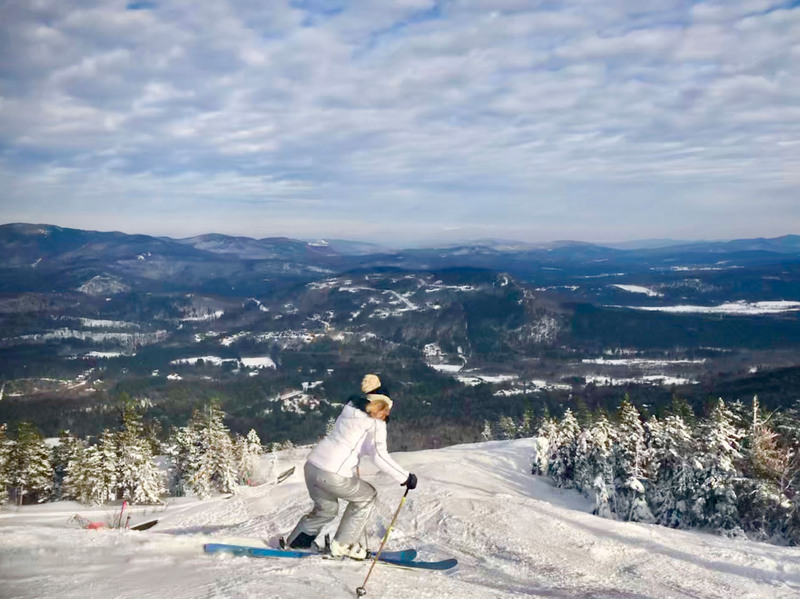 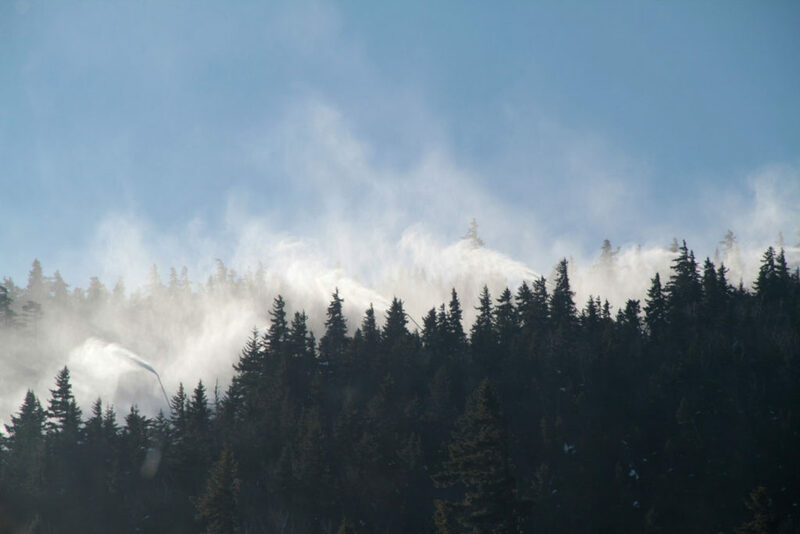 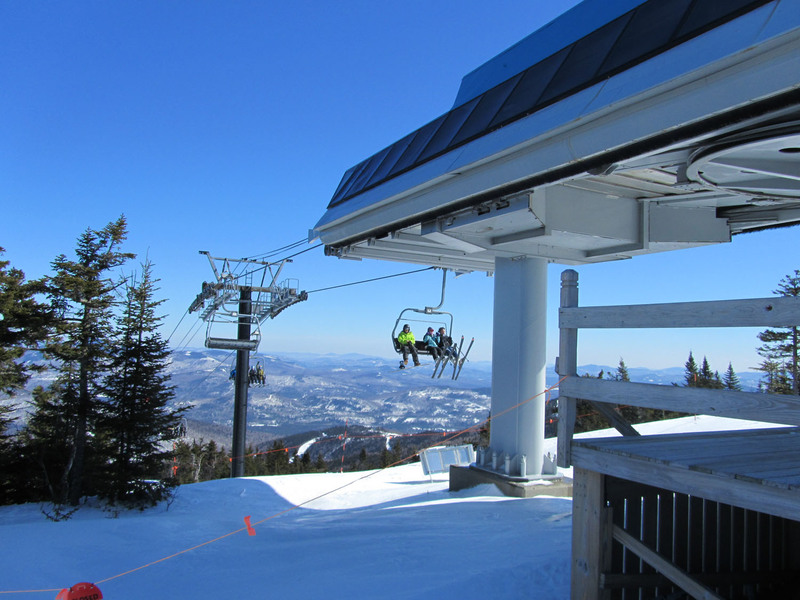 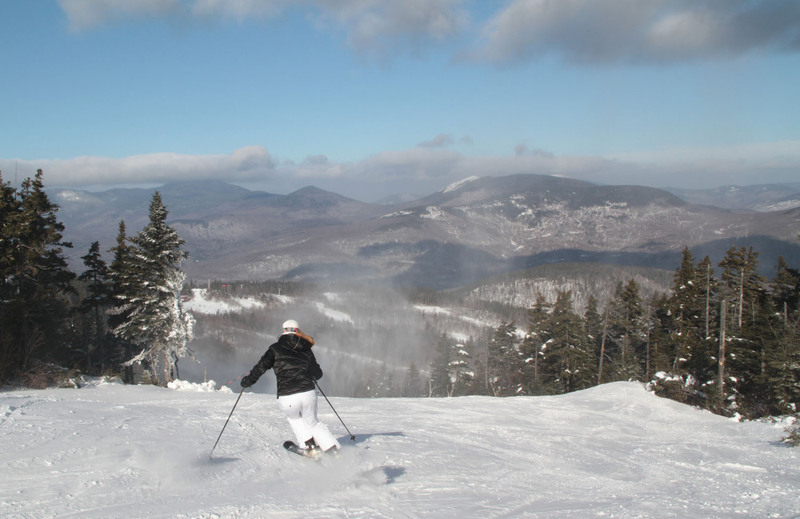 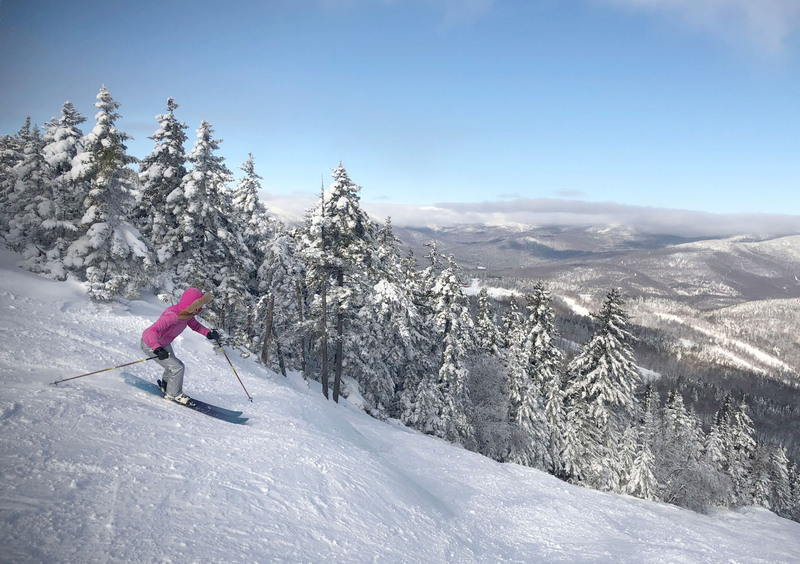 Sunday River is known among New England skiers as one of the best …eight interconnected mountain peaks are consistently covered by legendary Sunday River snow. High capacity quads and guaranteed snow thanks to 2,000 guns covering the River’s 870 acres of terrain make this a skiers’ and riders’ dream. 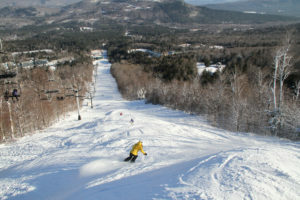 Sunday River is the second biggest ski resort in New England, sister Sugarloaf takes the top spot with 1,056-acres, but The River has a reputation of opening first in the North East, often tied with Killington – like October 19, 2018, alongside Colorado early ski resorts Arapahoe Basin and Loveland. 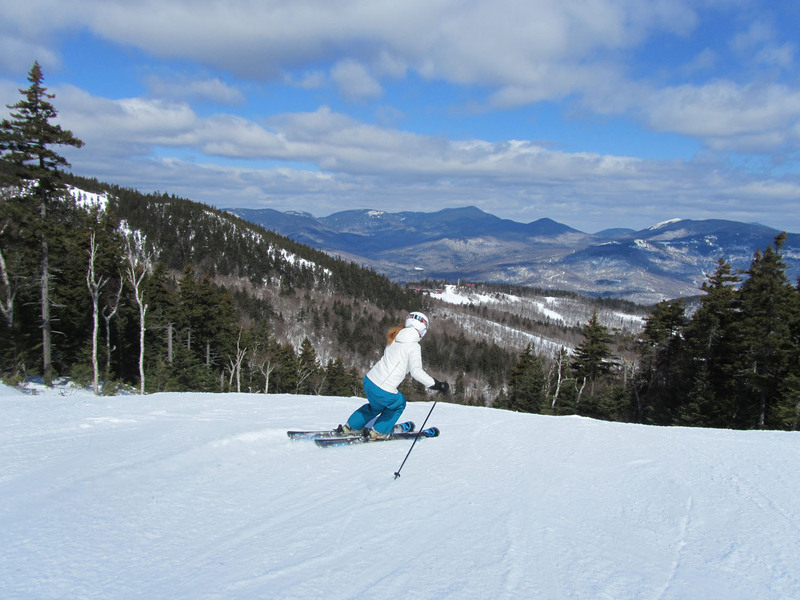 Sunday River likes to make a tradition of October skiing, by Halloween, and skiing til “Ski Maynia” – free skiing on their last day in May! 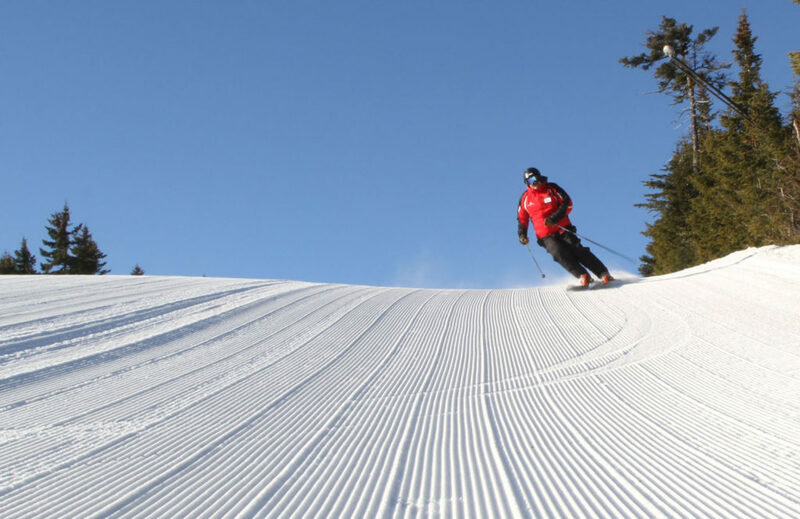 With 135 trails, most buffed to perfection by award-winning groomers, you don’t have to ski the same run twice – but you may want to when you saunter down Dreammaker, or arc perfect turns on Rogue Angel. 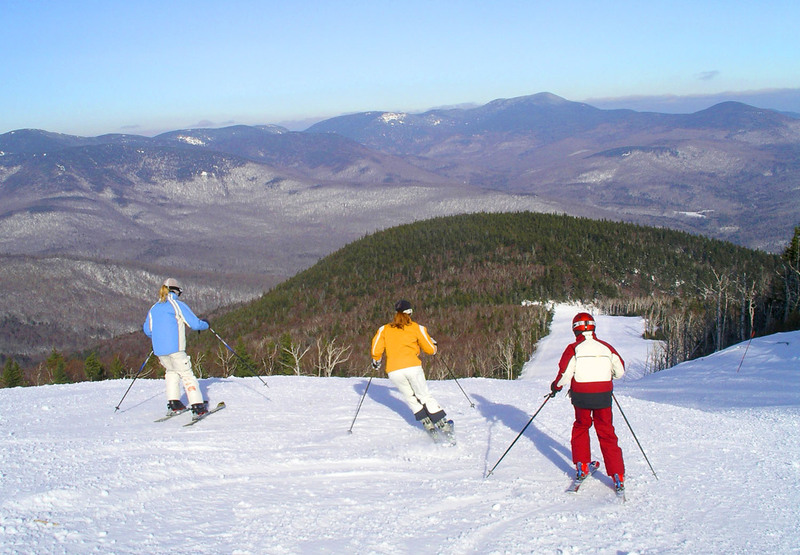 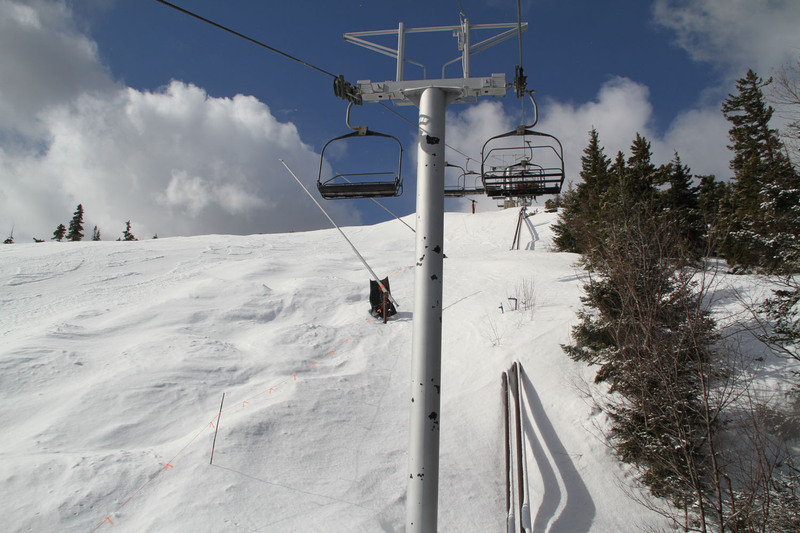 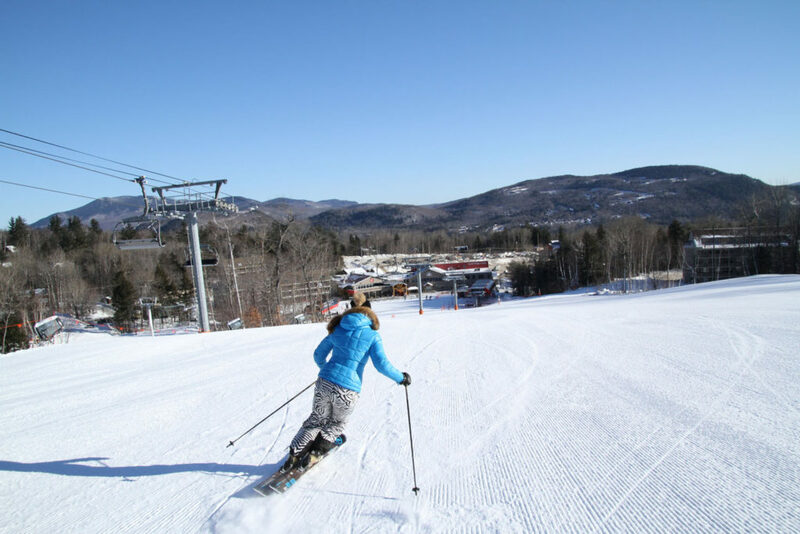 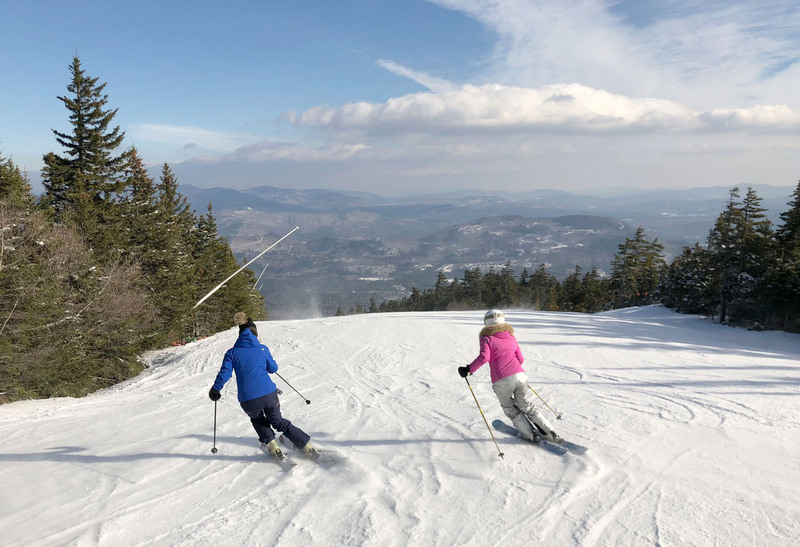 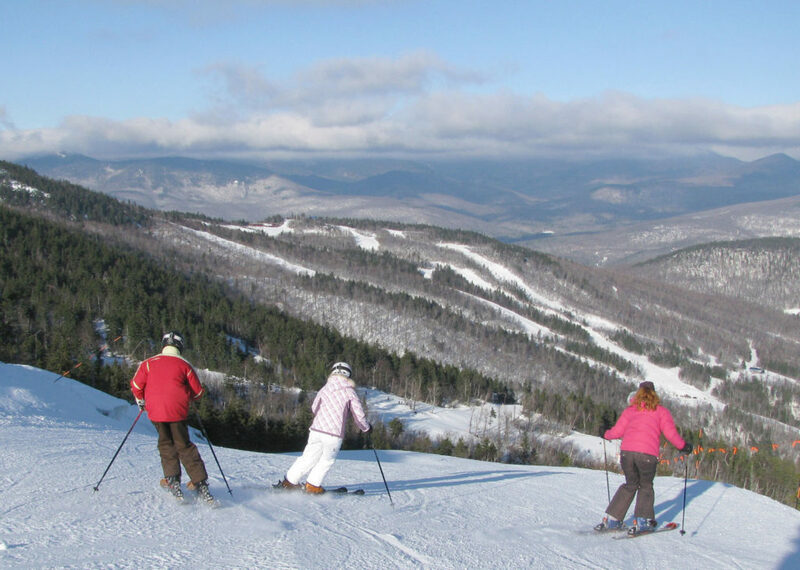 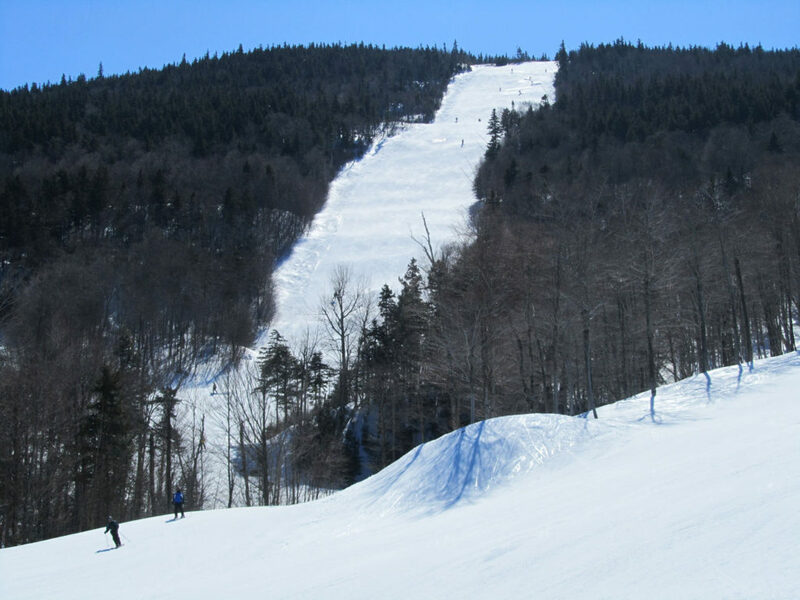 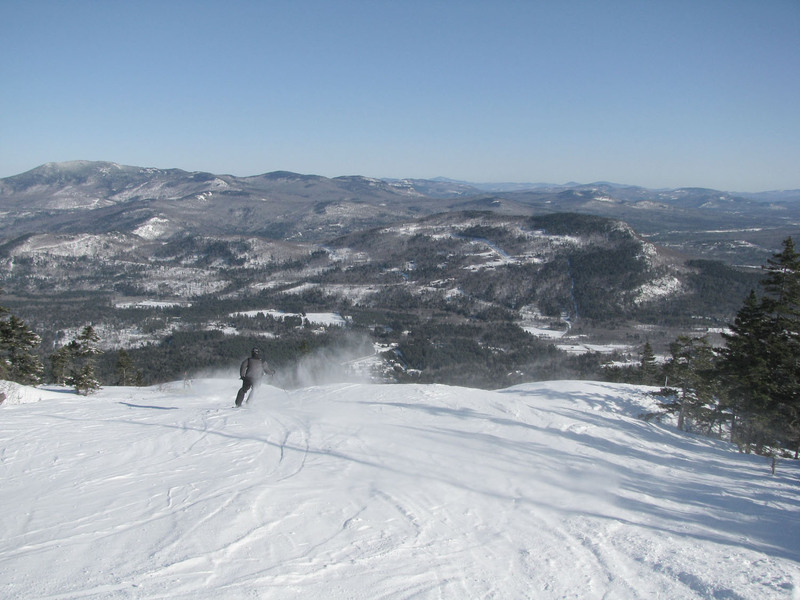 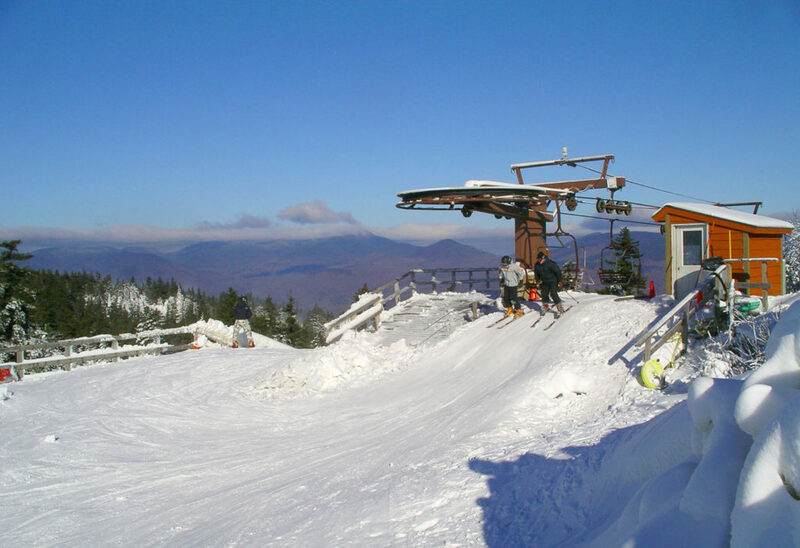 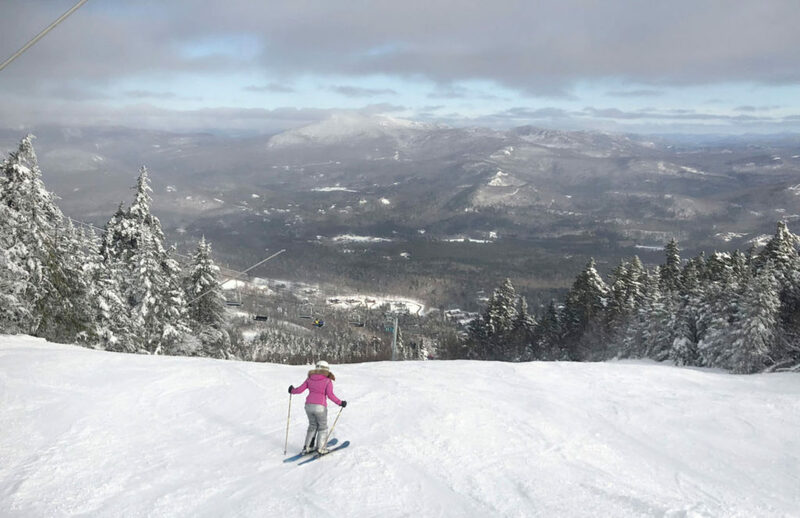 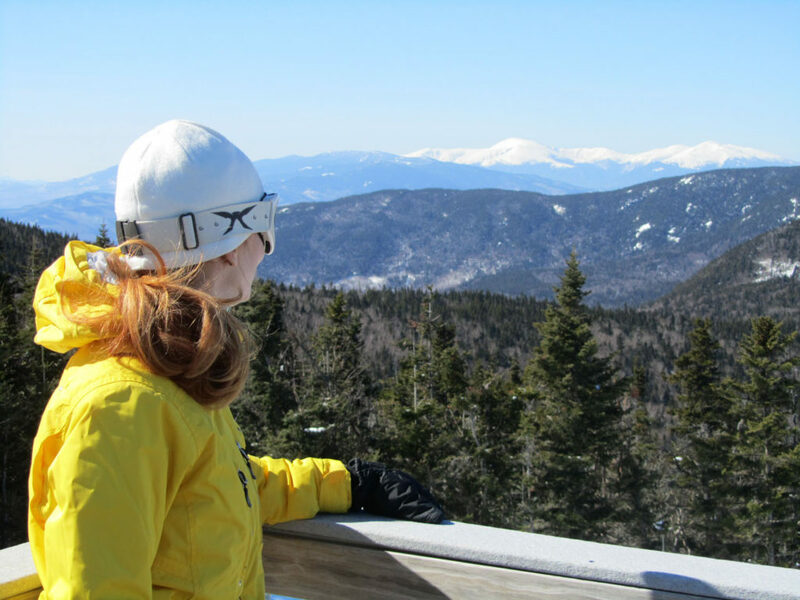 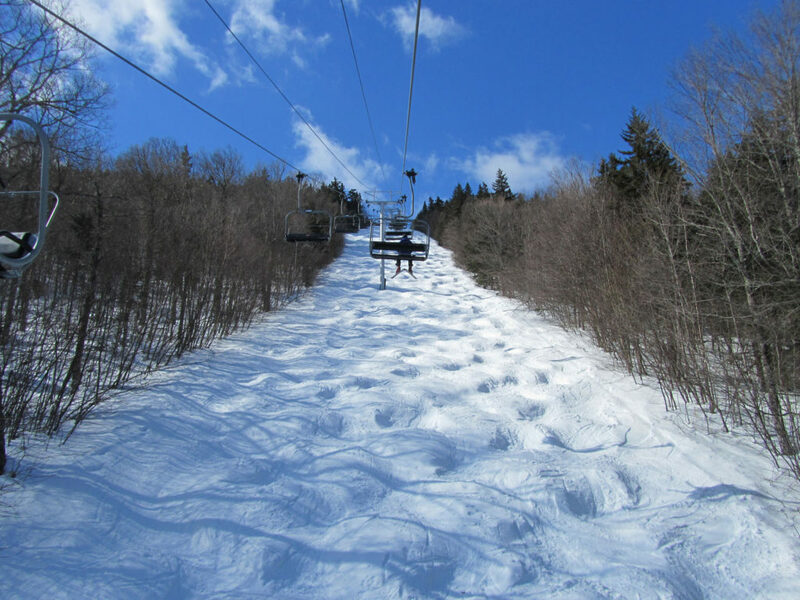 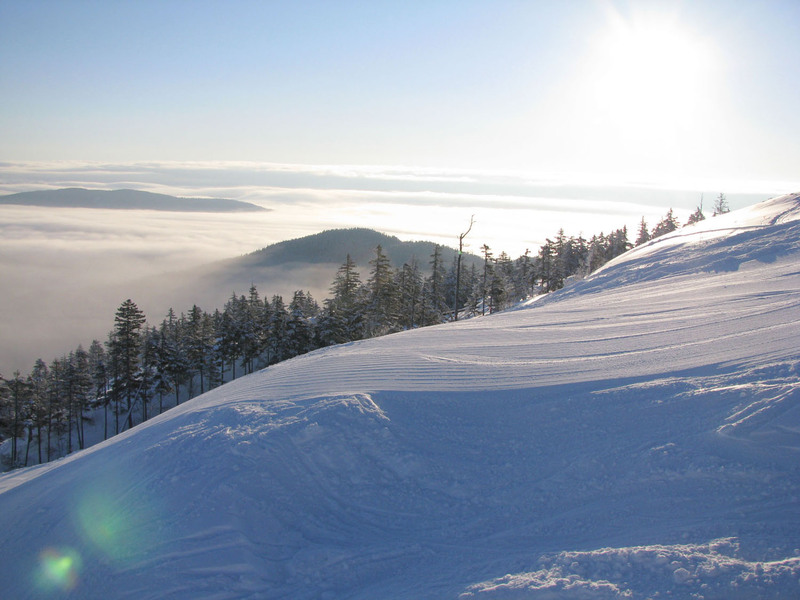 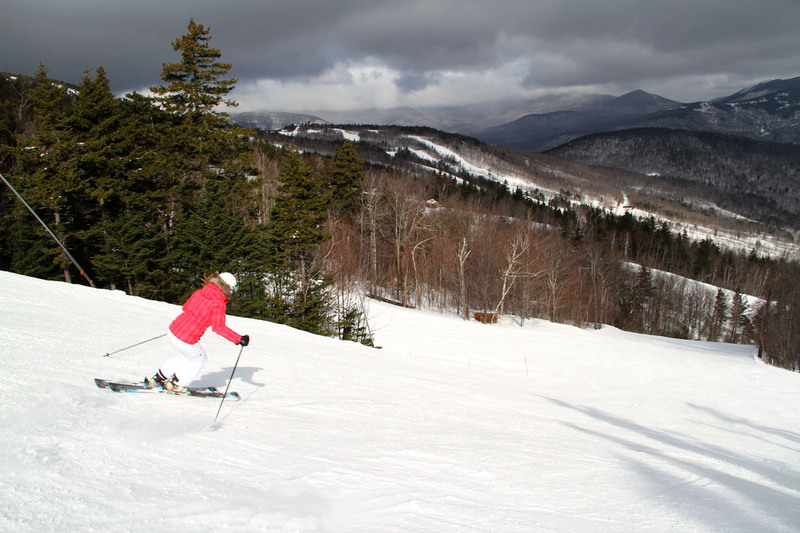 We think Sunday River’s best terrain and most beautiful views are at westernmost Jordan Peak where you will find long, fun, undulating runs and a peak at Mt Washington in New Hampshire as the high speed chair crests the summit. 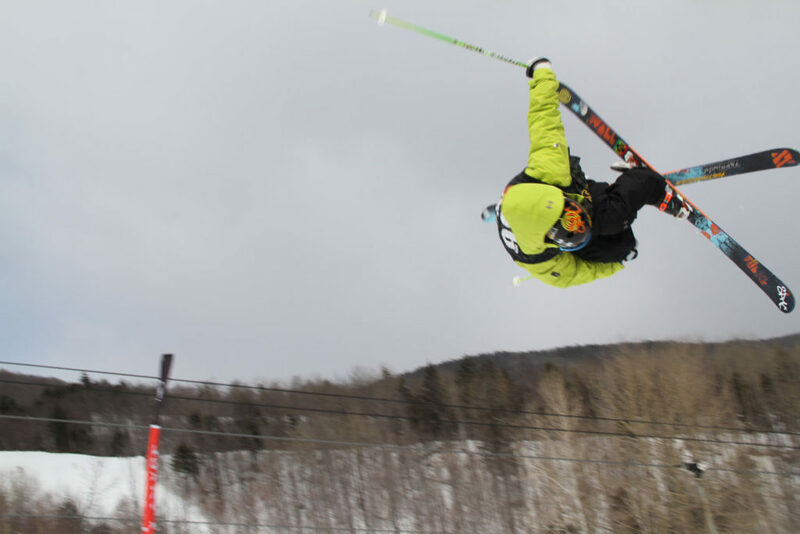 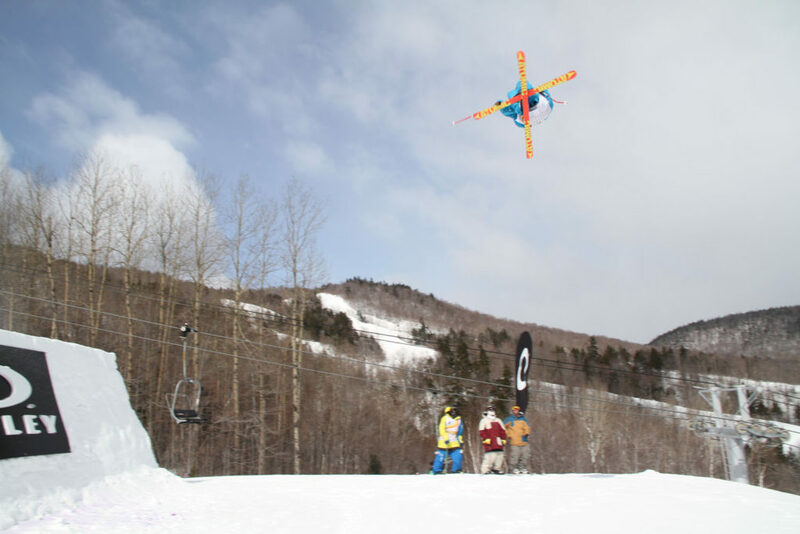 Kids love Yetiville glades and T72 15-acre terrain park designed by Sunday River native and XGame gold medalist Simon Dumont on North Peak. 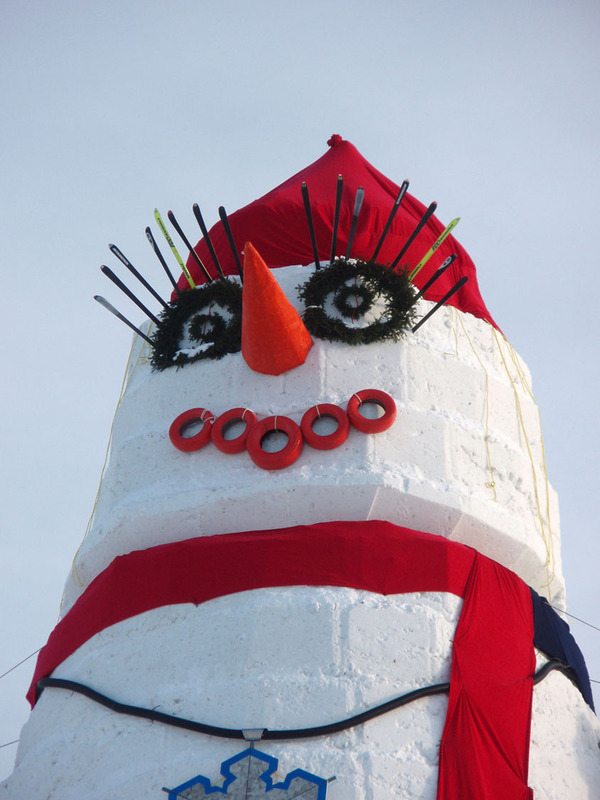 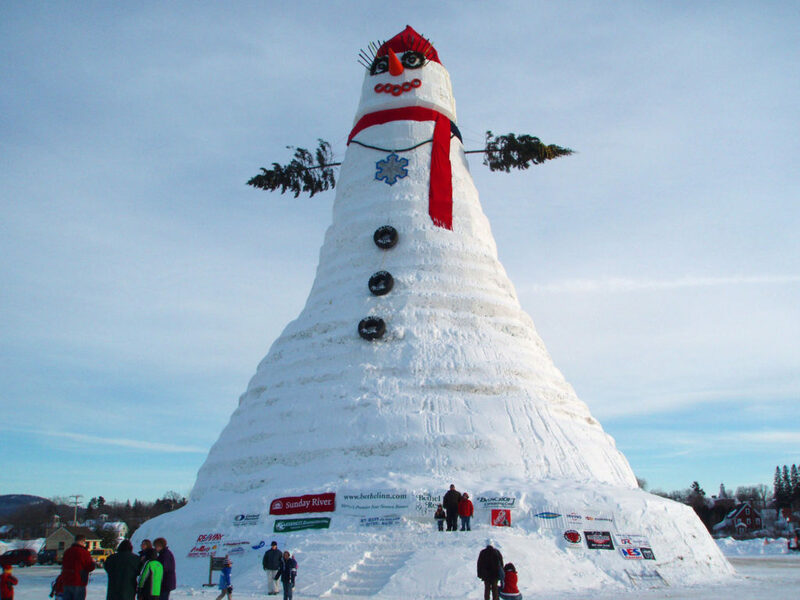 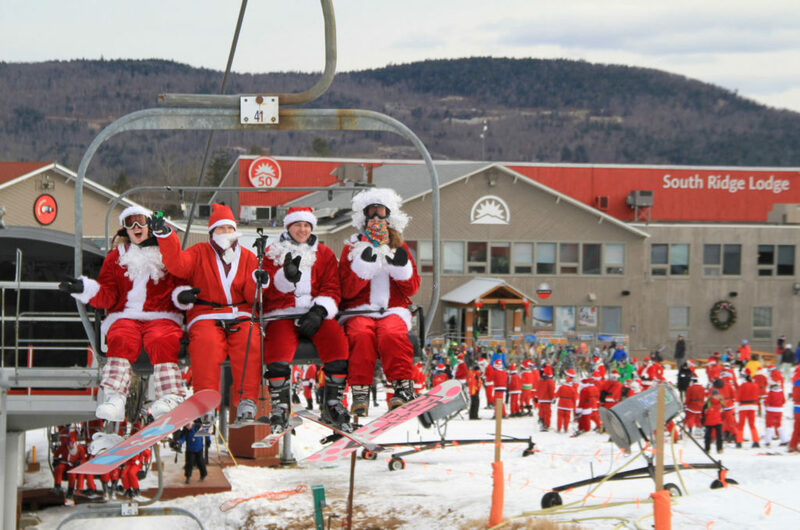 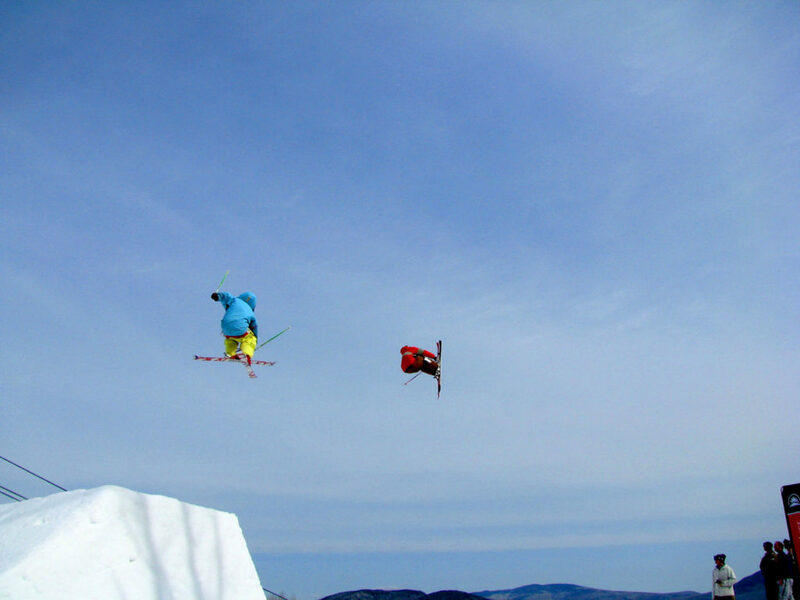 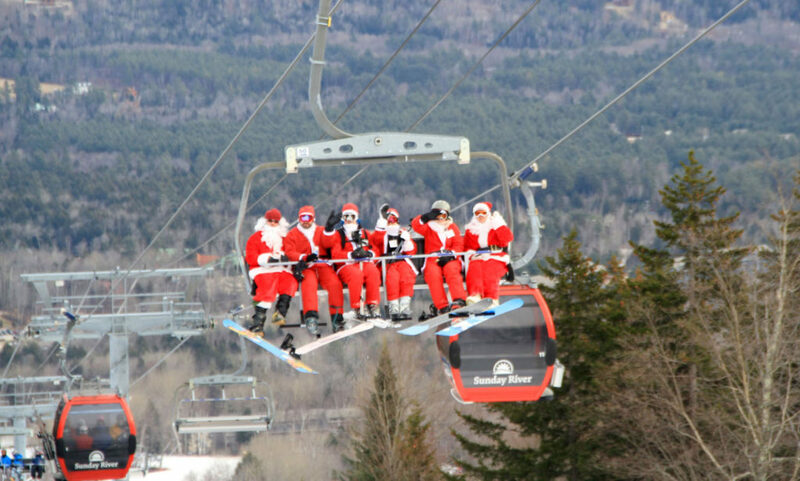 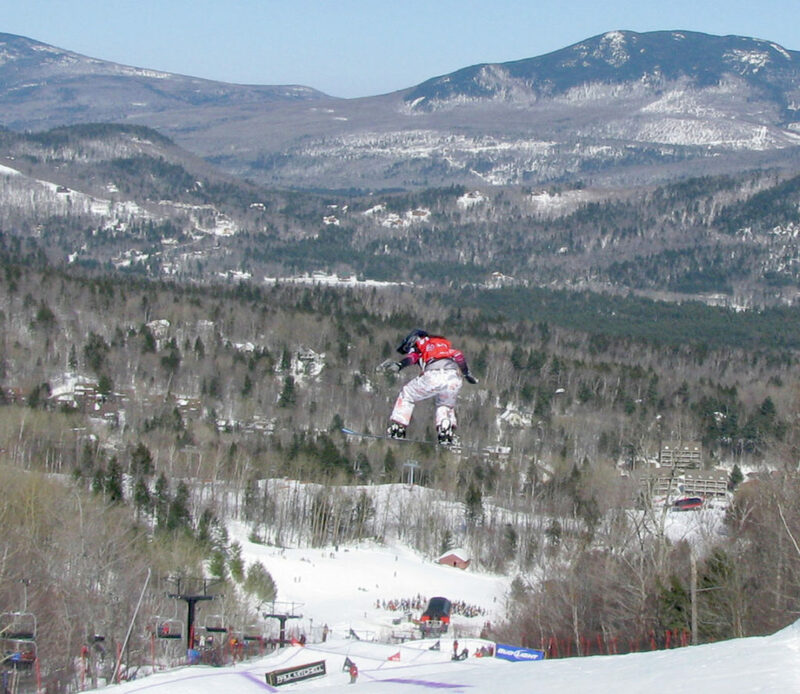 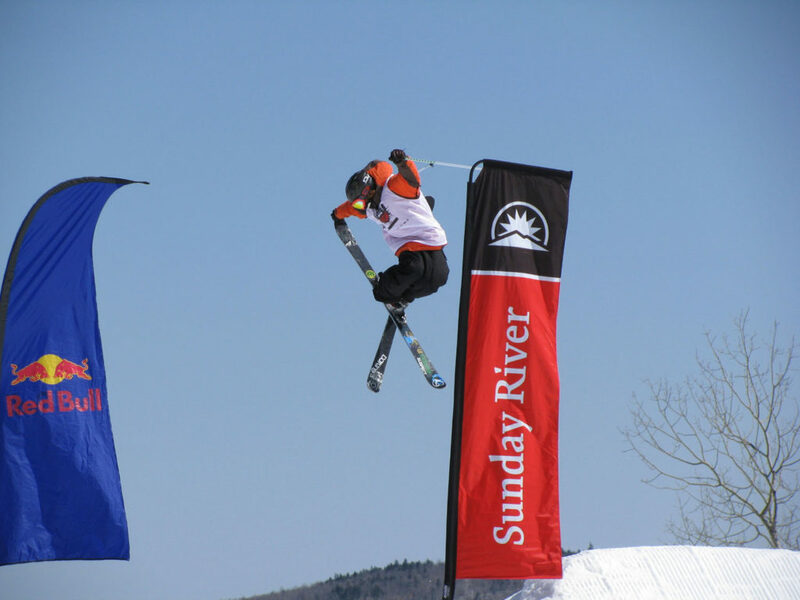 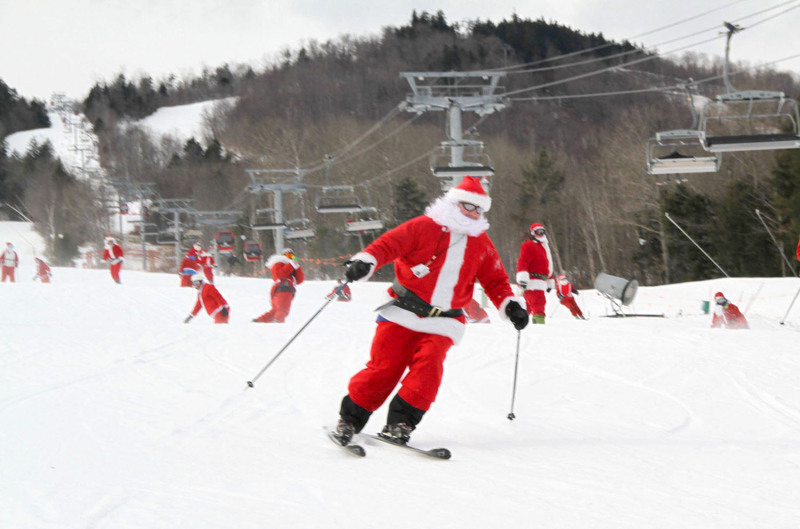 Fun events at Sunday River include Santa Sunday, Winterfest, Children’s Fest and Spring Festival (formerly Parrothead and Bust n’Burn), and the Dumont Cup in March. 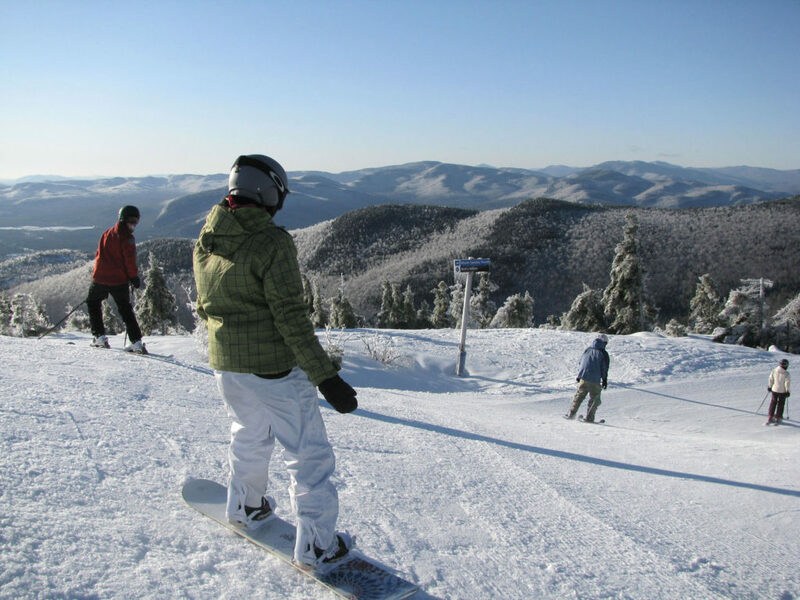 Carve the steeps of White Heat, cruise the S-turns of Lollapalooza, or glide through 75 acres of Blind Ambition Glades – then stop for a fresh cinnamon bun at the on mountain North Peak Lodge, which has a spacious deck for those sunny days. 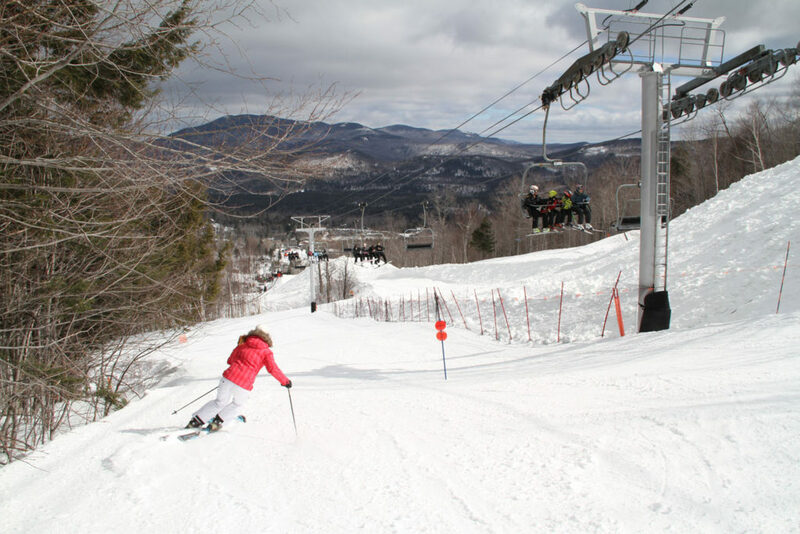 Sunday River has one of longest ski season’s in New England, thanks to all the snowmaking, October to May. 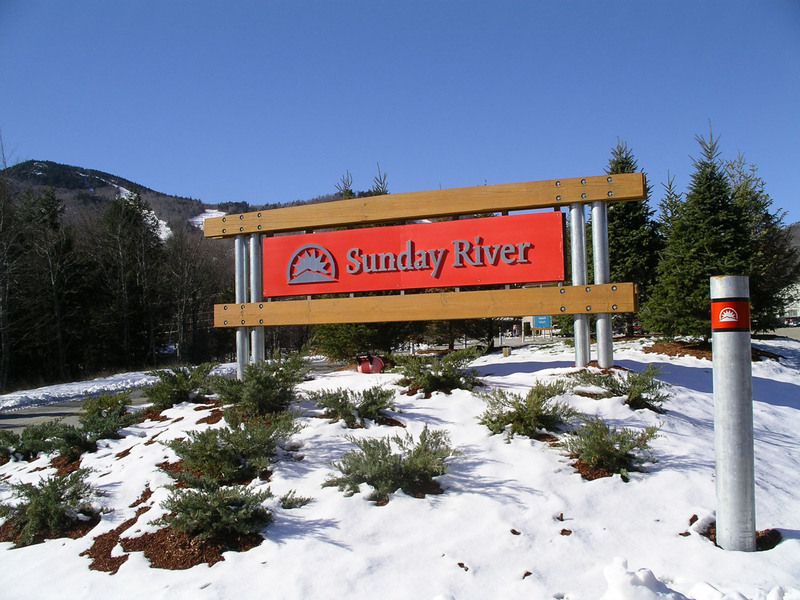 Sunday River activities for on and off slope enjoyment include a Twin Zip Lines and a Kids Adventure Trail and Eddy the Yeti’s log cabin. 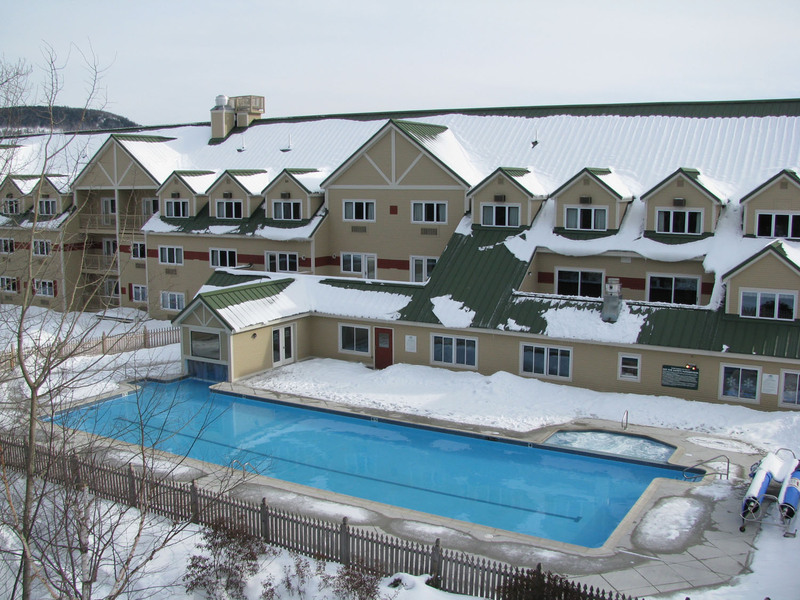 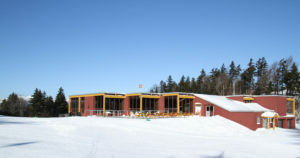 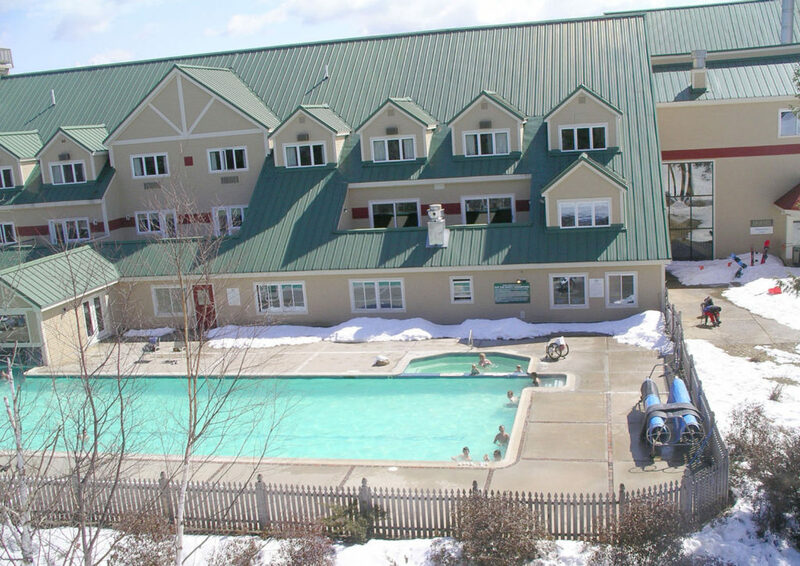 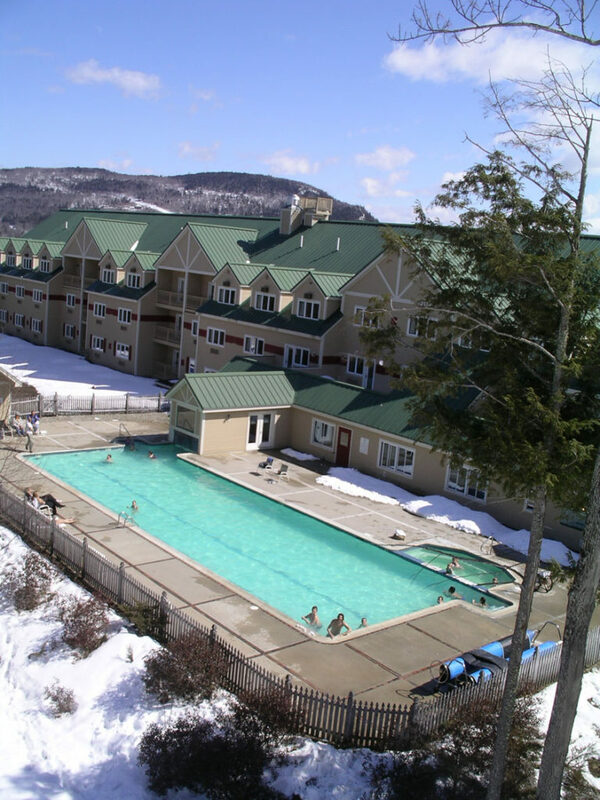 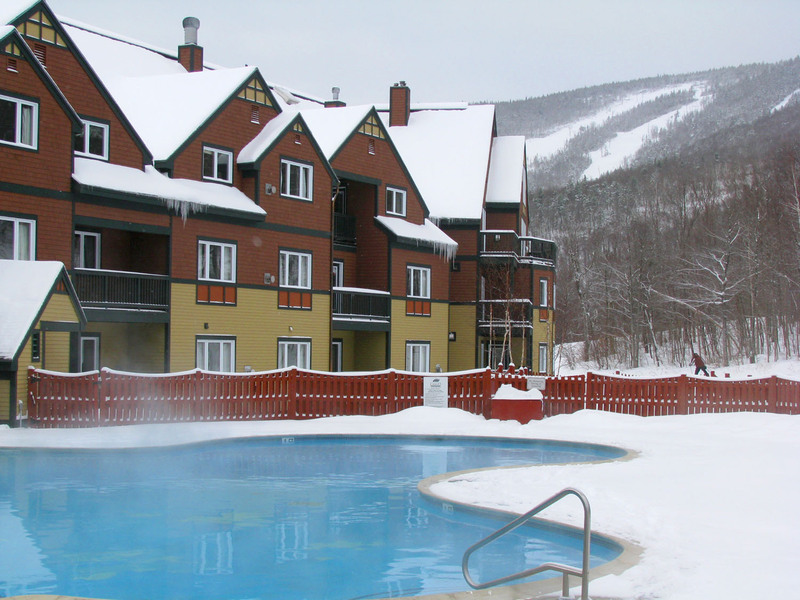 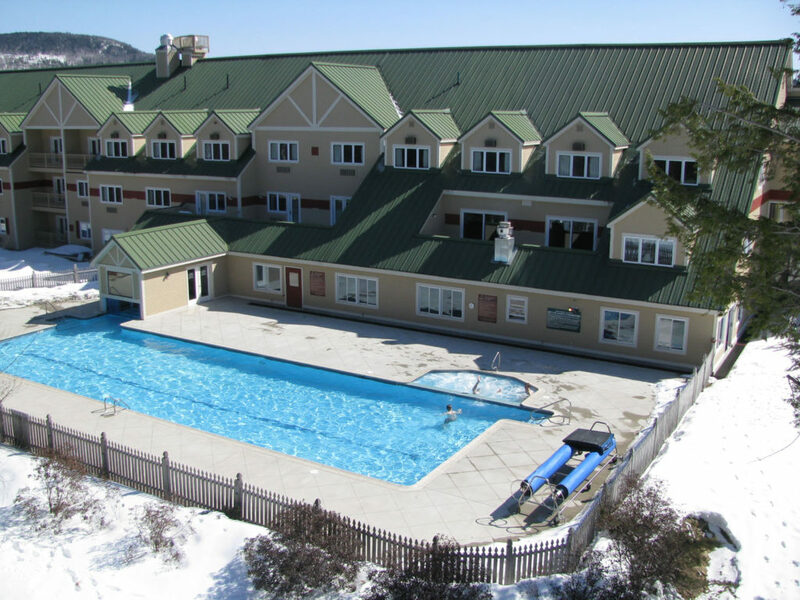 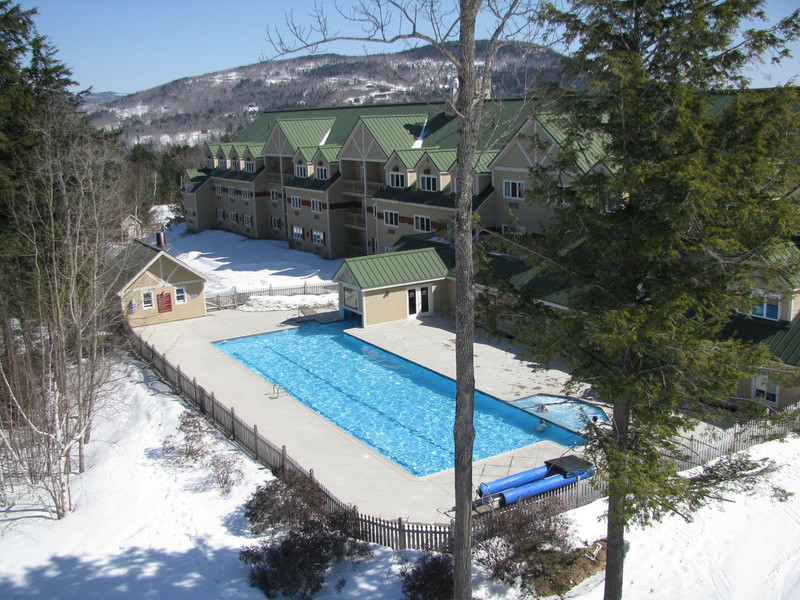 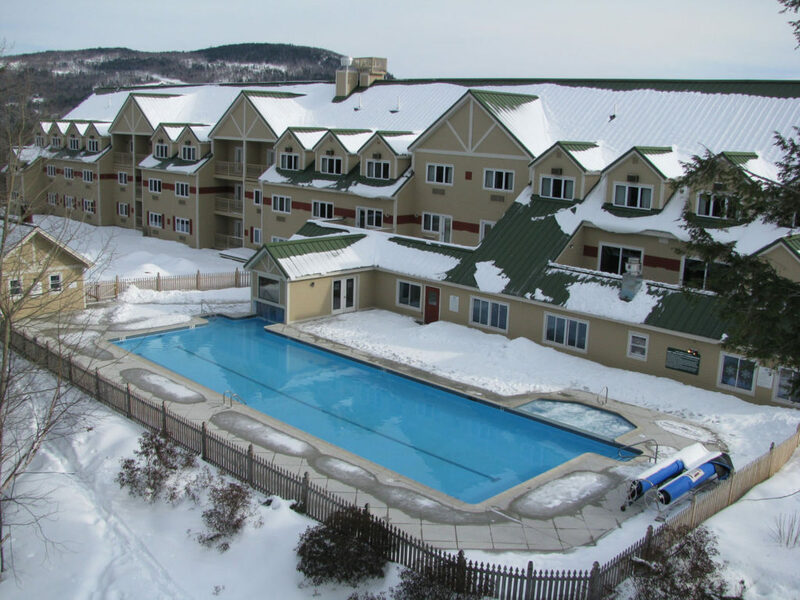 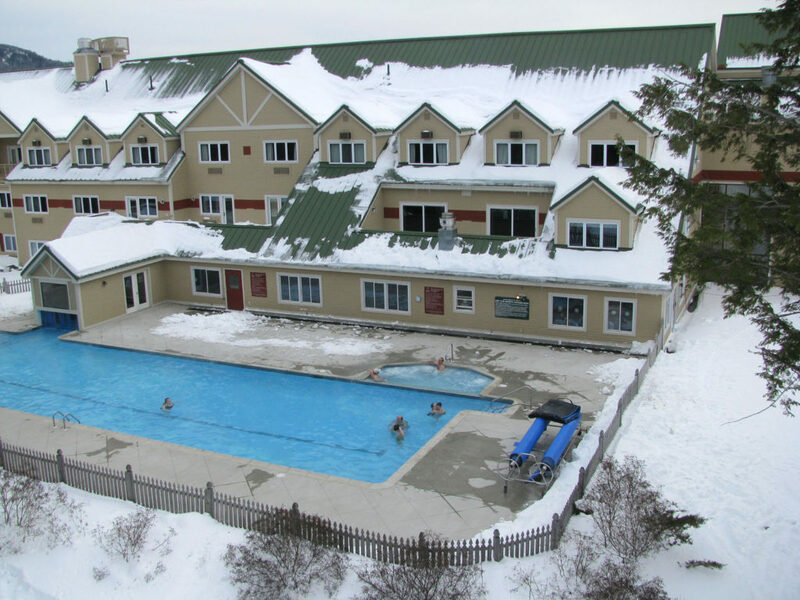 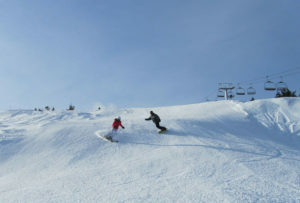 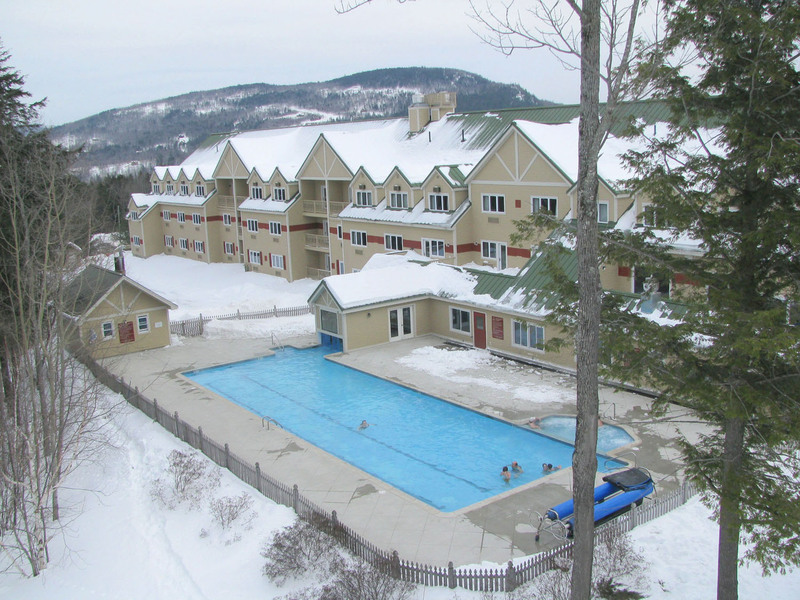 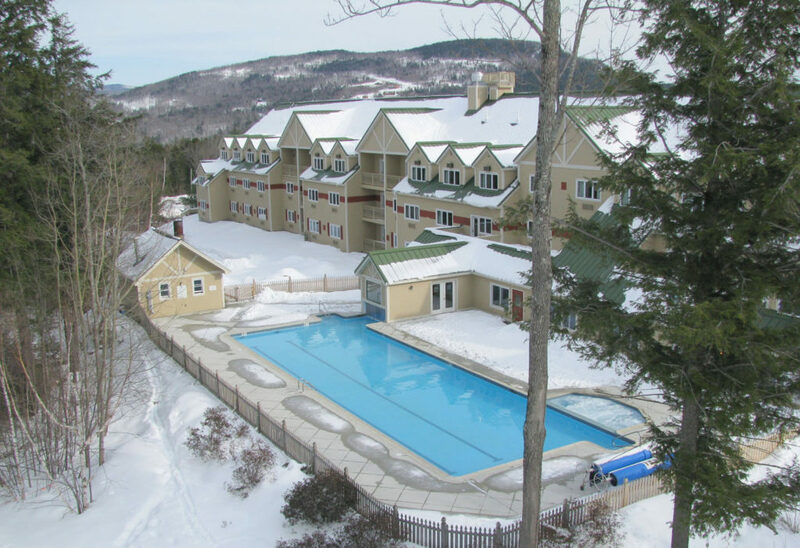 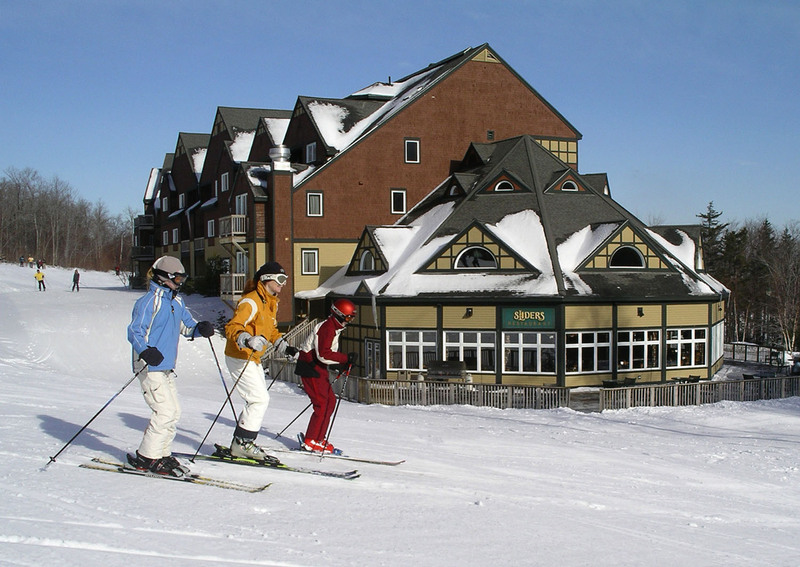 Sunday River lodging at the The Grand Summit Hotel or the Jordan Grand Hotel keeps you on mountain in comfort with a choice location for first tracks and last chair, plus slope view outdoor heated pools and hot tubs, ski valet, spa services, a lounge, two restaurants each and childcare. 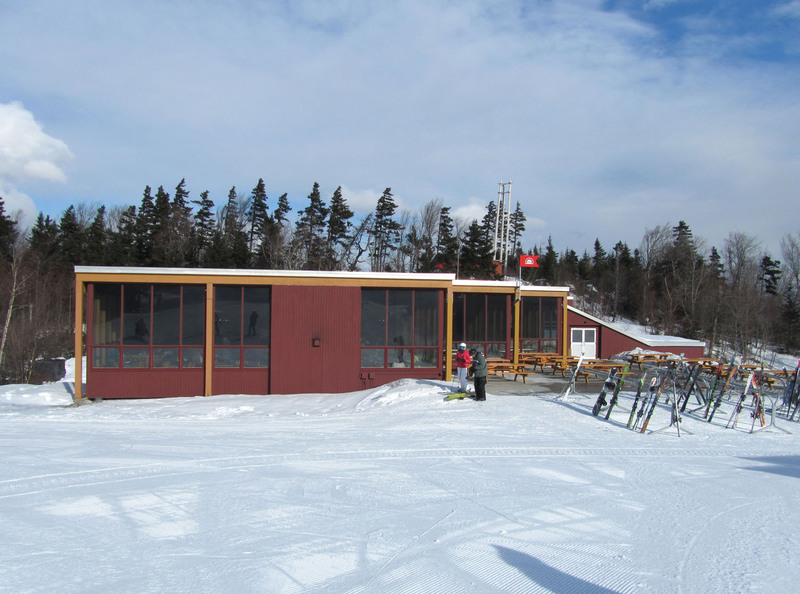 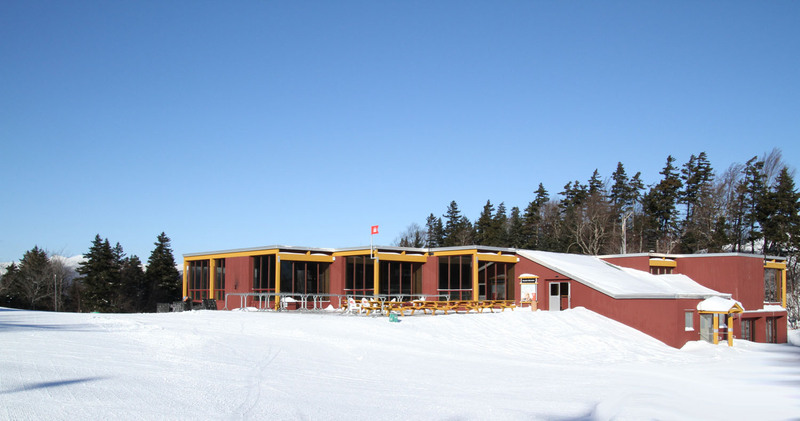 Camp is a cozy Sunday River dining spot at the Grand Summit serving Maine comfort food with genuine campy decor. On mountain dining includes the Foggy Goggle for slope view lunch and après ski, Sliders at the Jordan Grand, and the new Mountain Room at Peak Lodge, sister restaurant to Chef Harding Lee Smith’s Rooms of Portland. 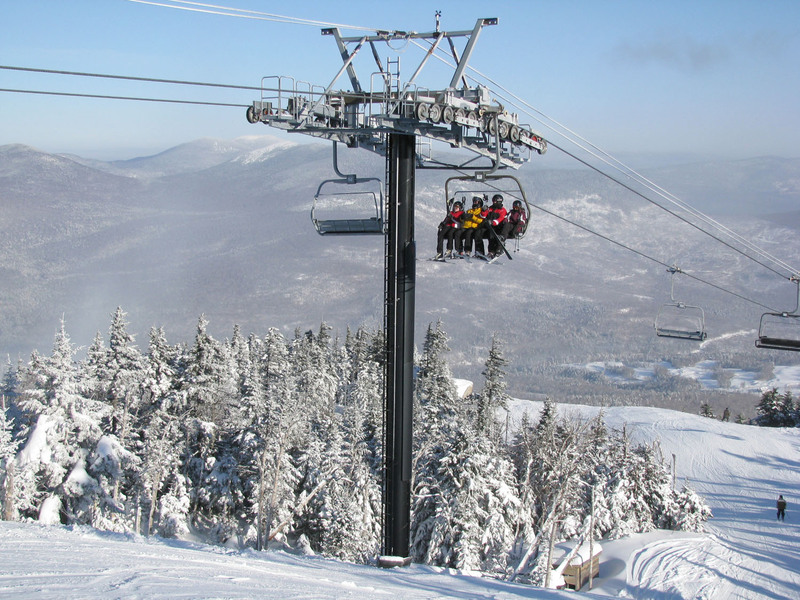 Sunday River is owned by Boyne USA along with sister resort Sugarloaf and Loon and Big Sky in Montana as part of their resort portfolio. 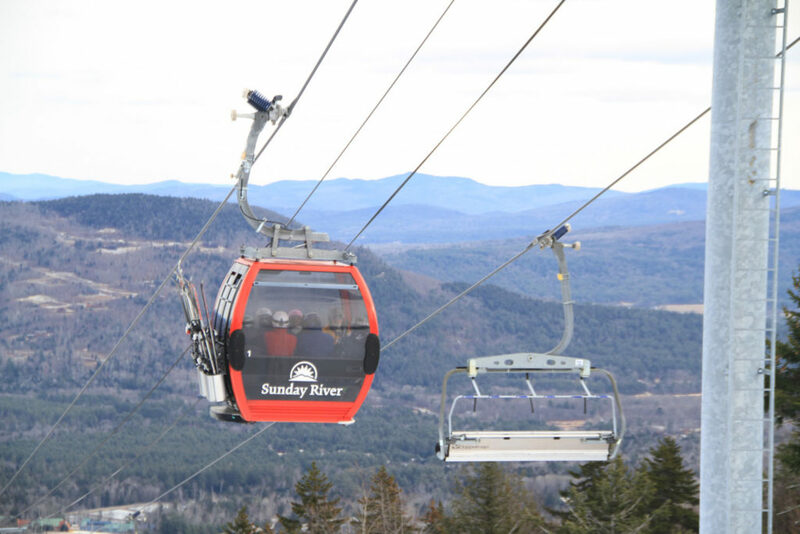 Sunday River’s Chondola from South Ridge to North Peak offers a hybrid ride on a 6-person chair or gondola, so night skiing is an option for Sunday River fun, or let the kids ski while you go to the Foggy Goggle for après ski and live bands or dine at The Peak riding the Chondola under the stars on Saturday night. 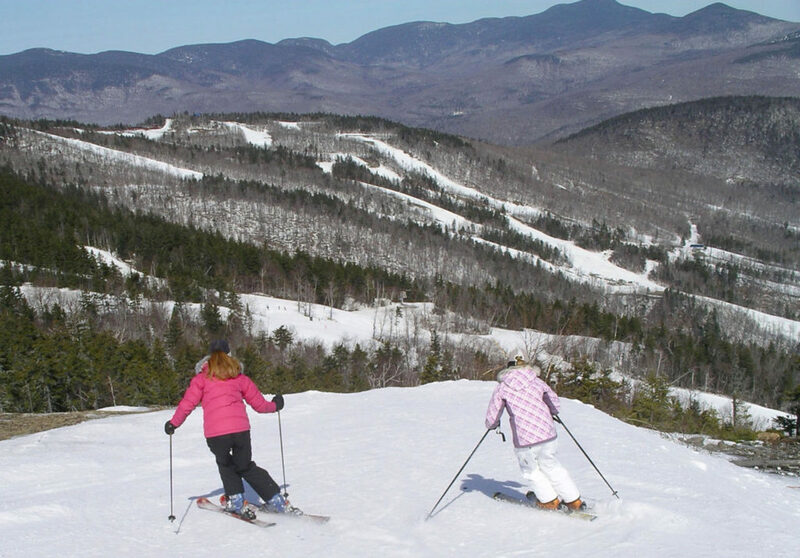 The nearby hamlet of Bethel has been named by Ski Magazine as one of the country’s best ski towns. 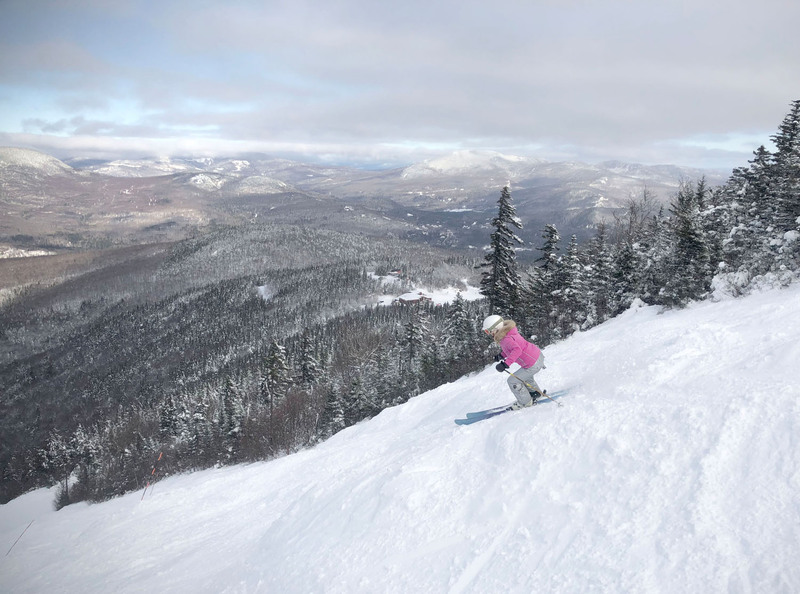 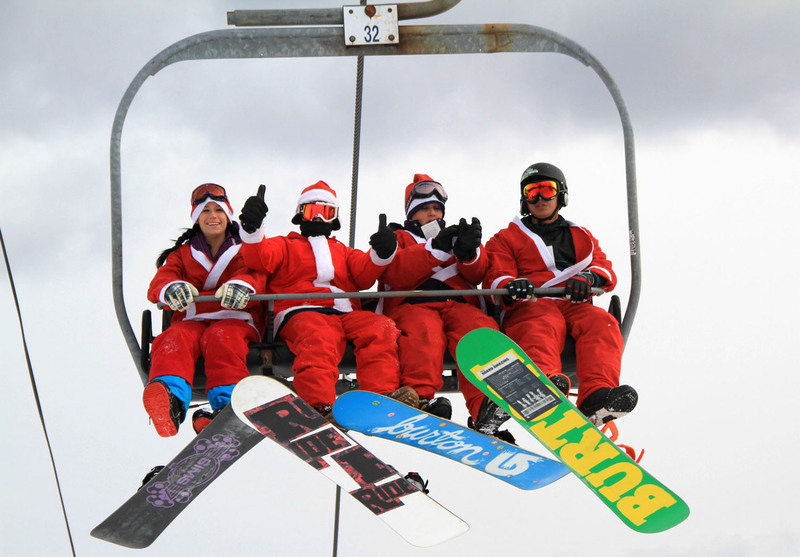 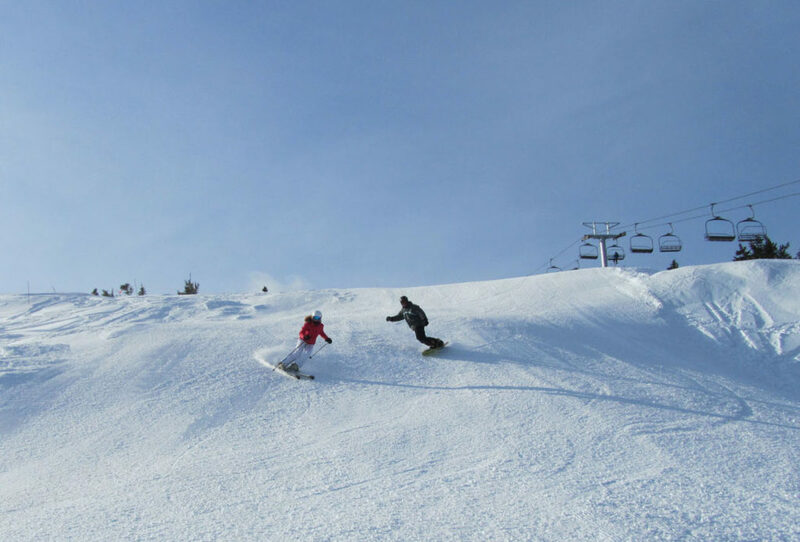 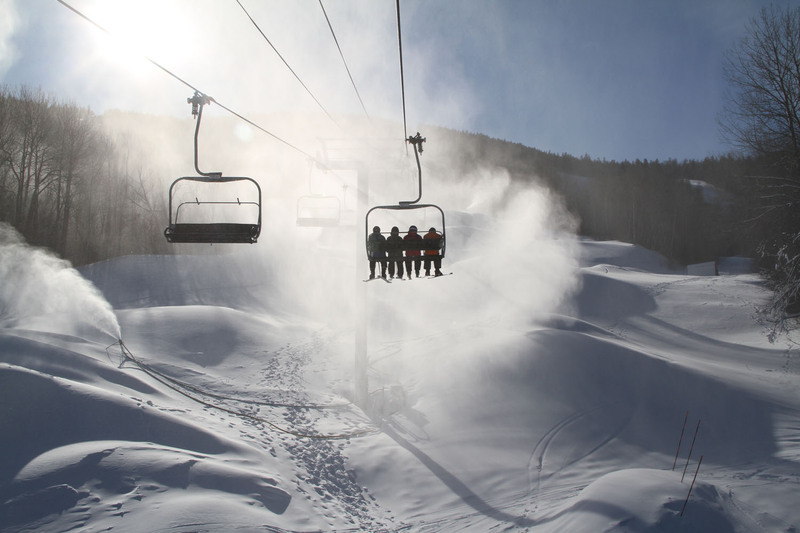 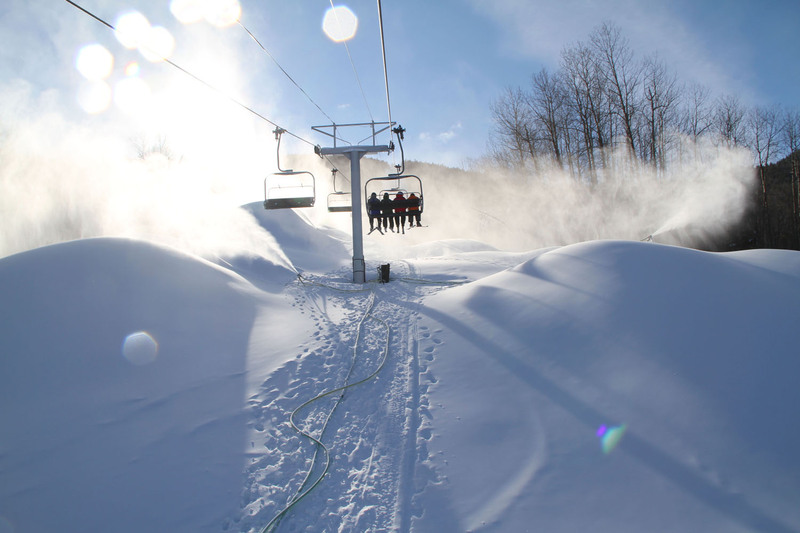 Vertical Drop: 2,340’, 870-acres, 135 Trails: 28 Beginner, 52 Intermediate, 45 Black Diamond. 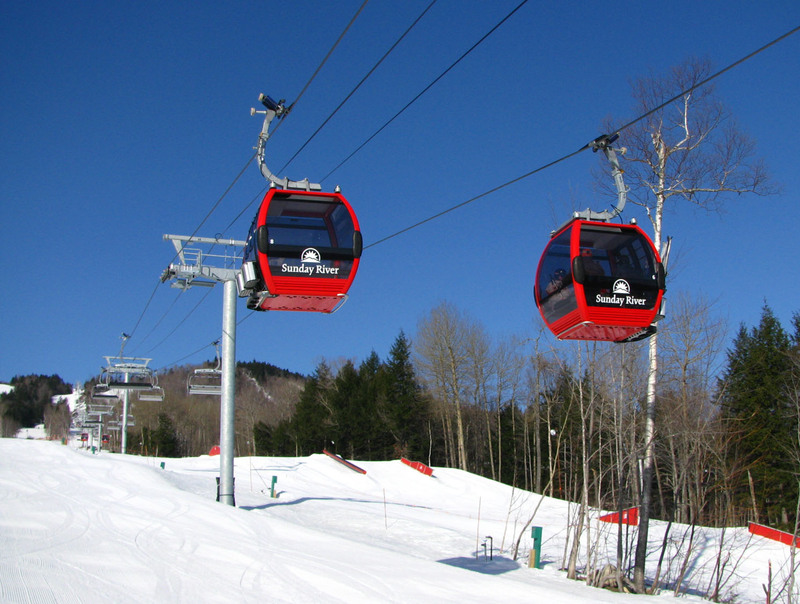 15 Lifts: 1 Chondola, 9 Quads (5 high speed), 3 Triples, 1 Double, 1 Surface Lifts. 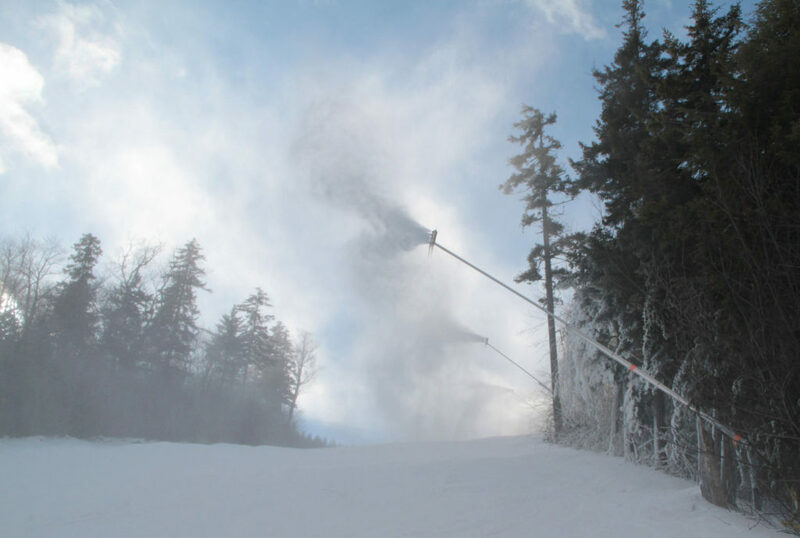 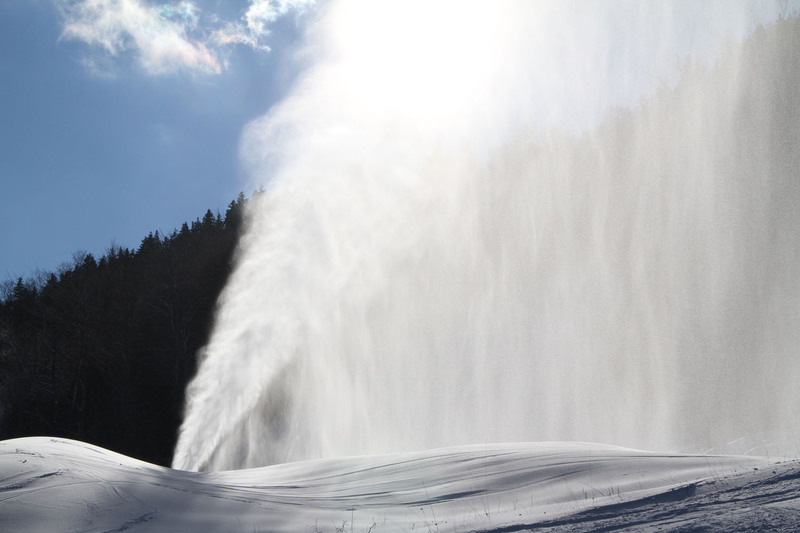 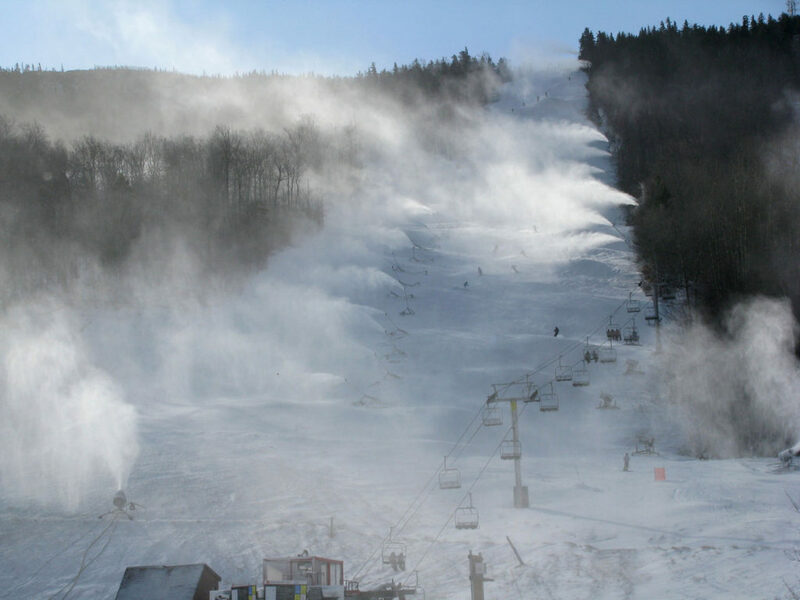 95% Snowmaking. 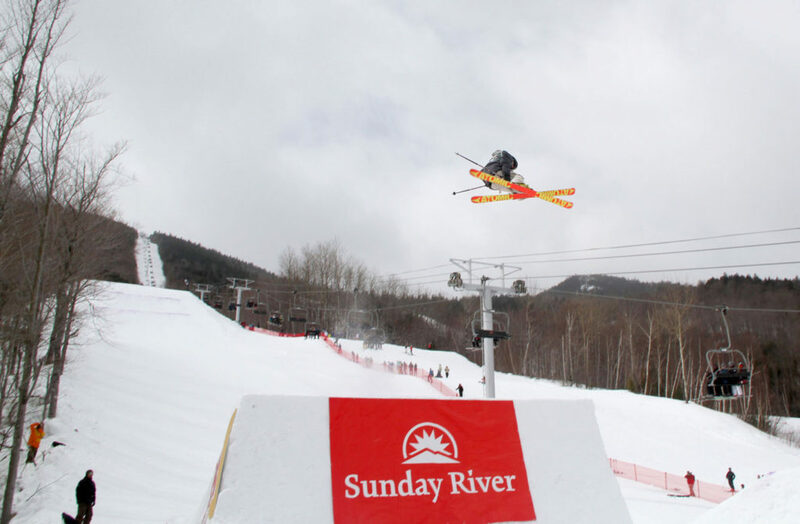 Terrain parks and pipes. 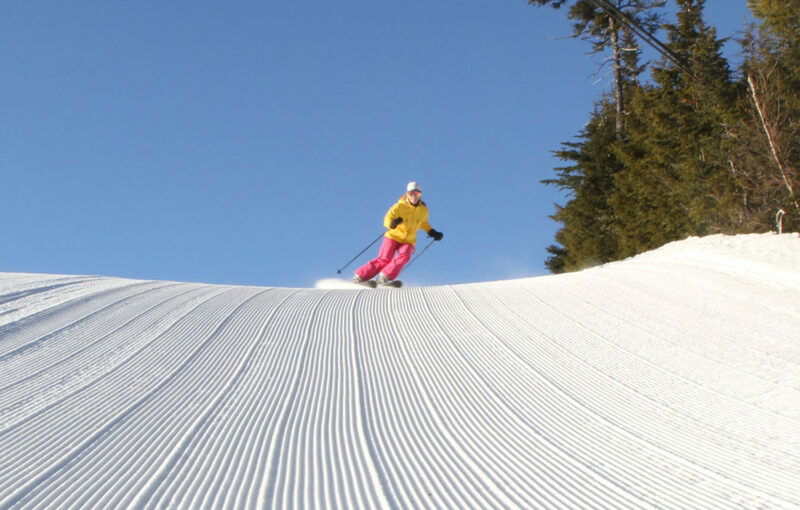 Snow Tubing. Night Skiing. 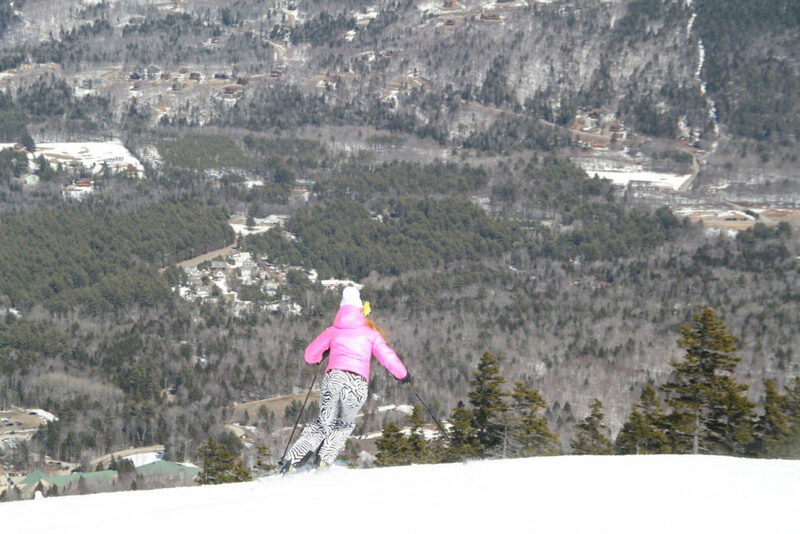 Zip Line. 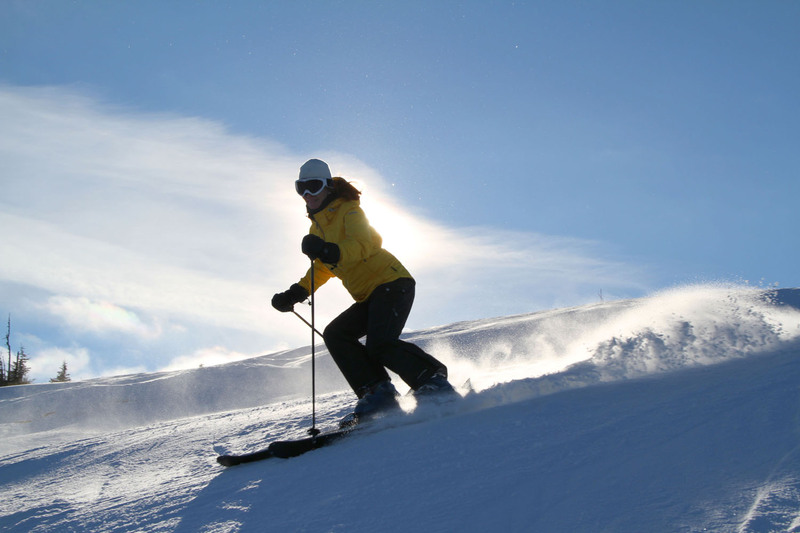 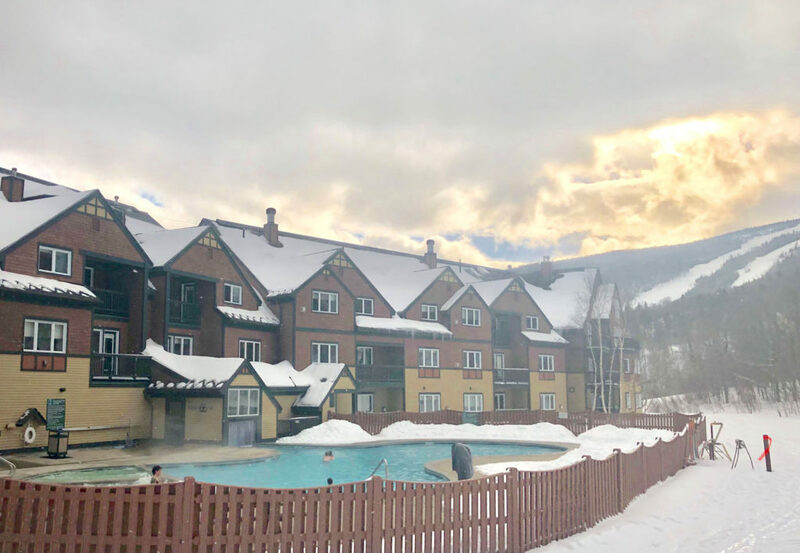 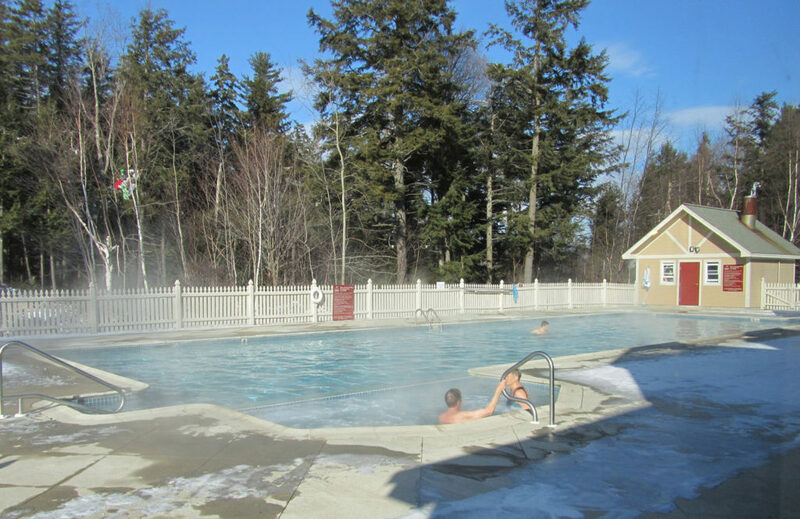 Sunday River lodging ranges from on mountain hotels and condominiums, to house rentals, bnbs and inns a short drive away. 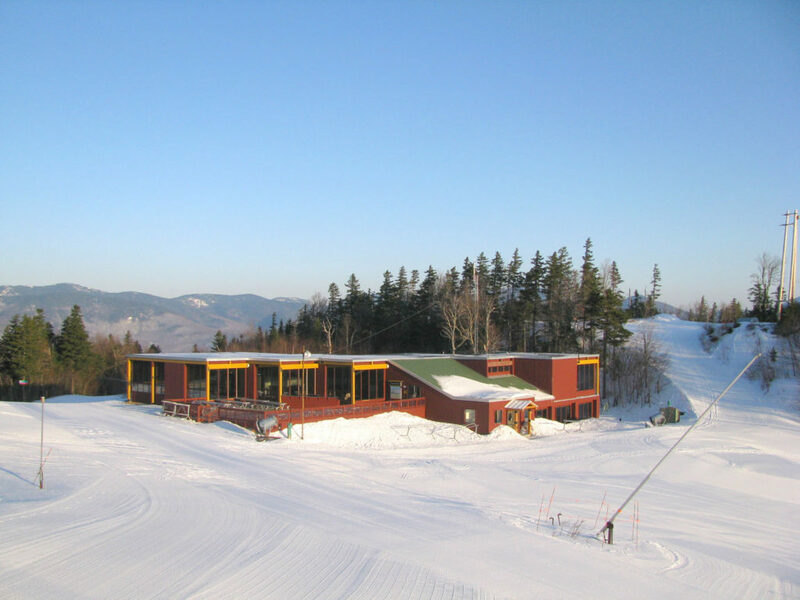 Sunday River Dining: The Foggy Goggle, The Mountain Room, Camp or The Matterhorn for lively après ski! 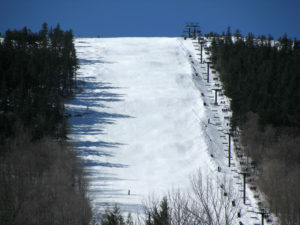 Sunday River, 15 South Ridge Road, Newry, ME 04261, Off Route 2 beyond Bethel.